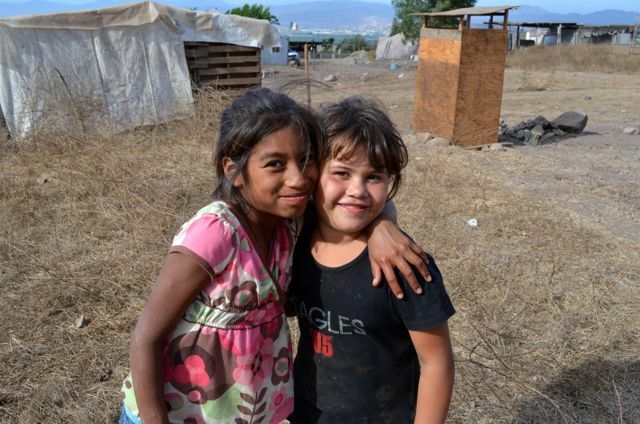 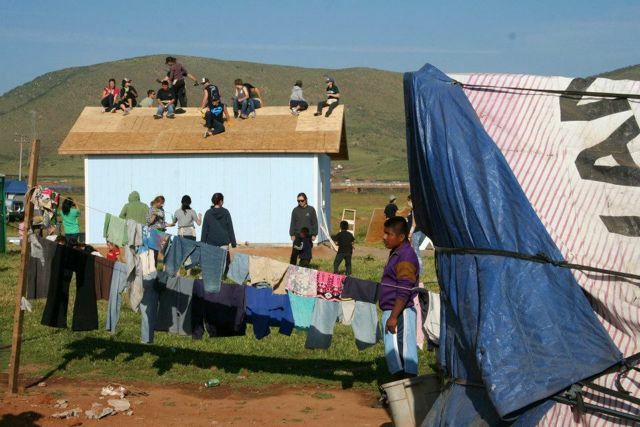 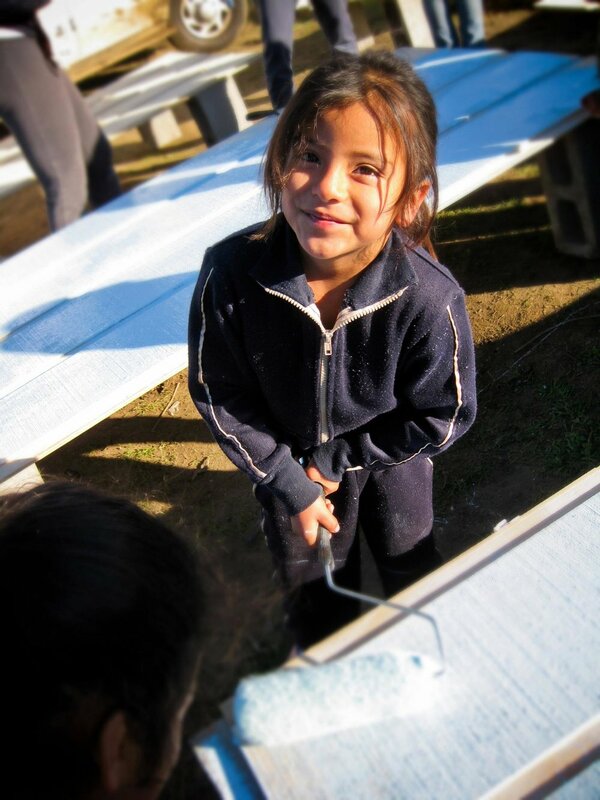 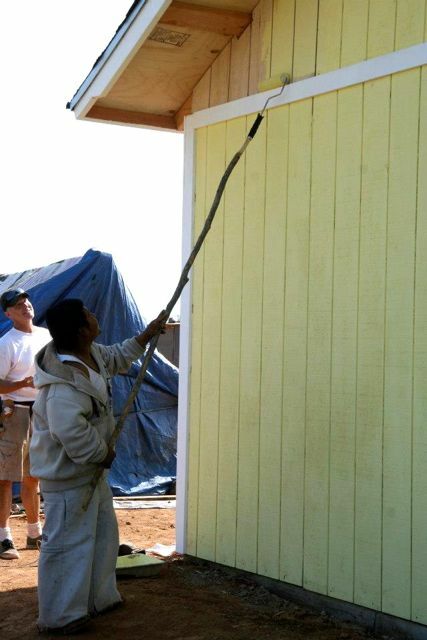 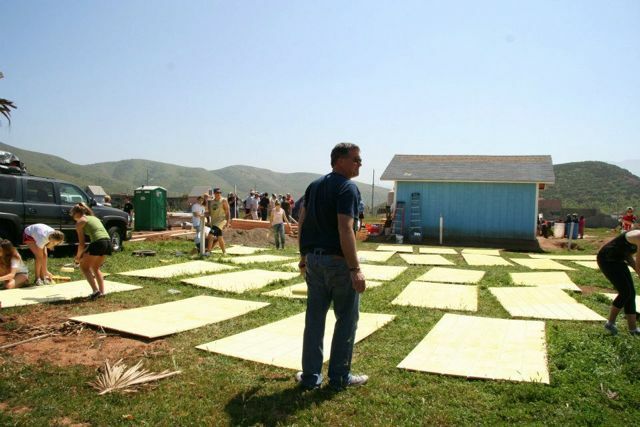 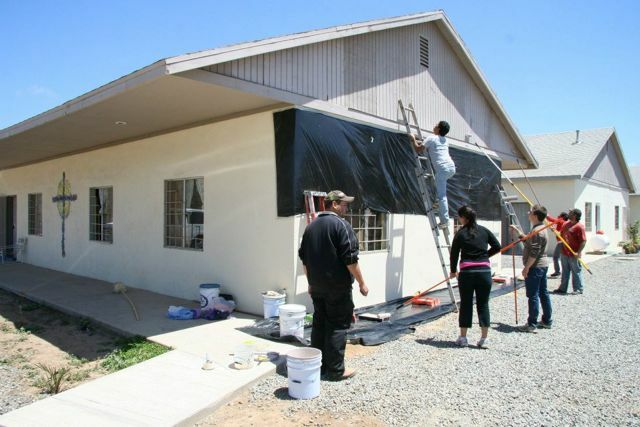 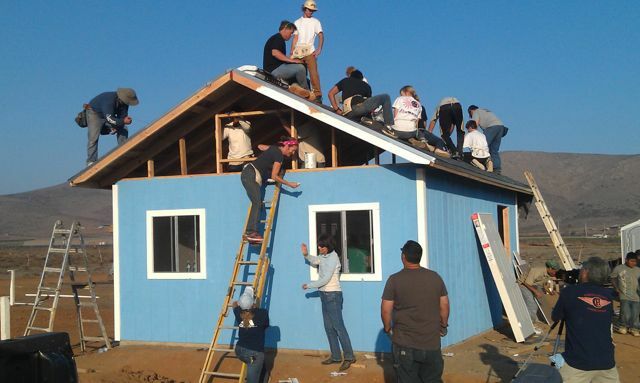 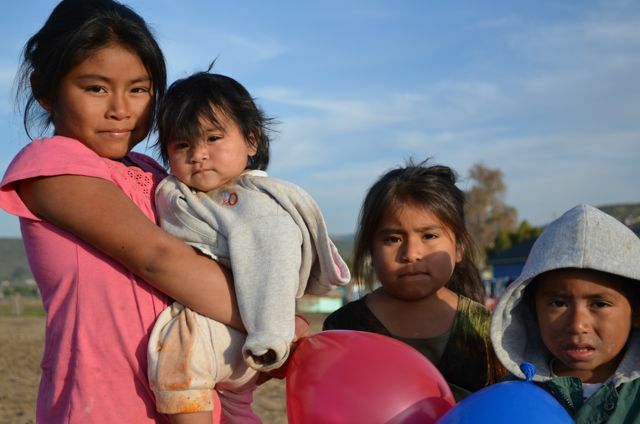 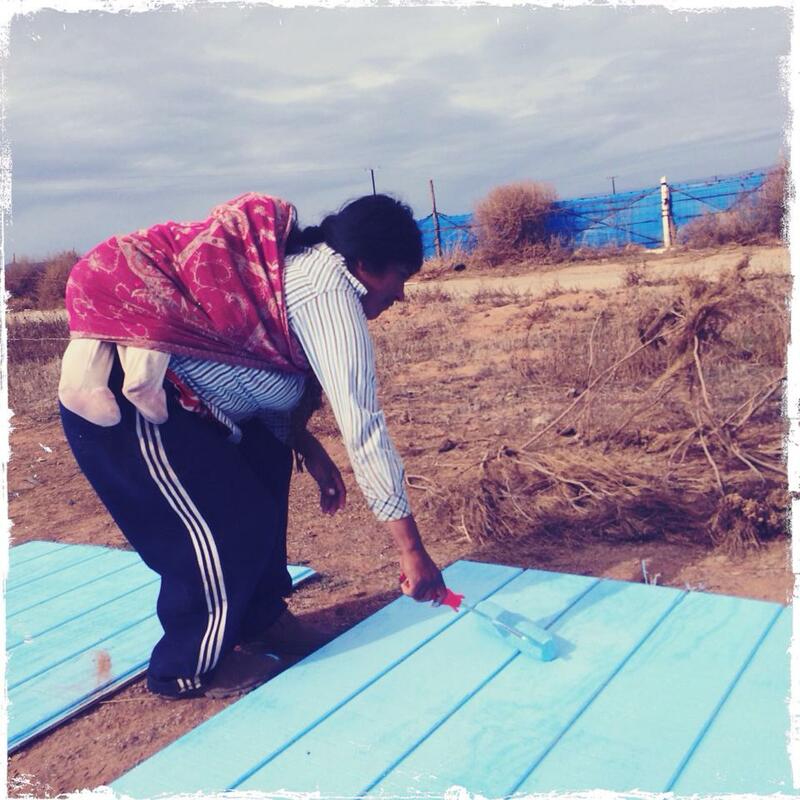 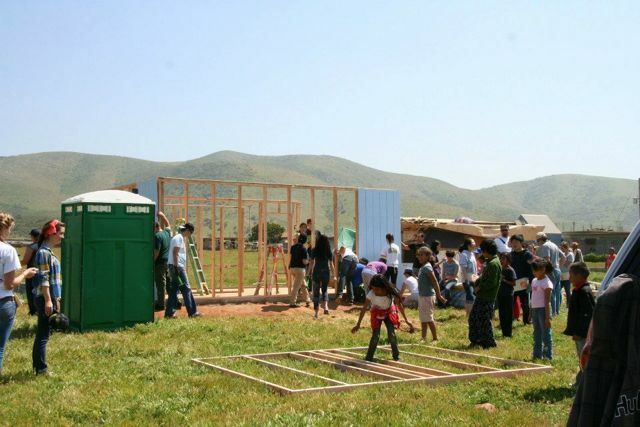 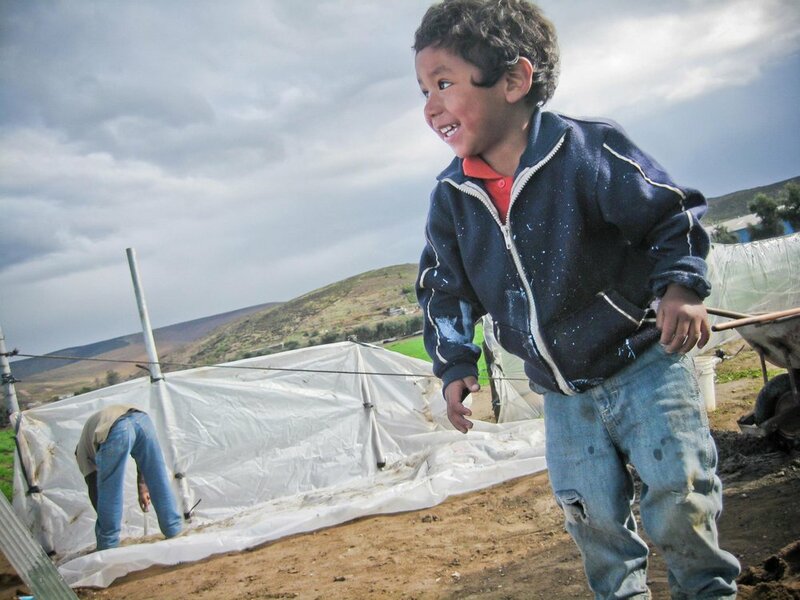 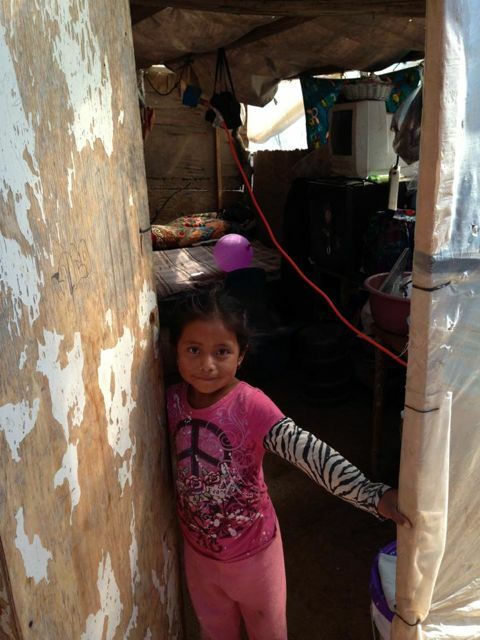 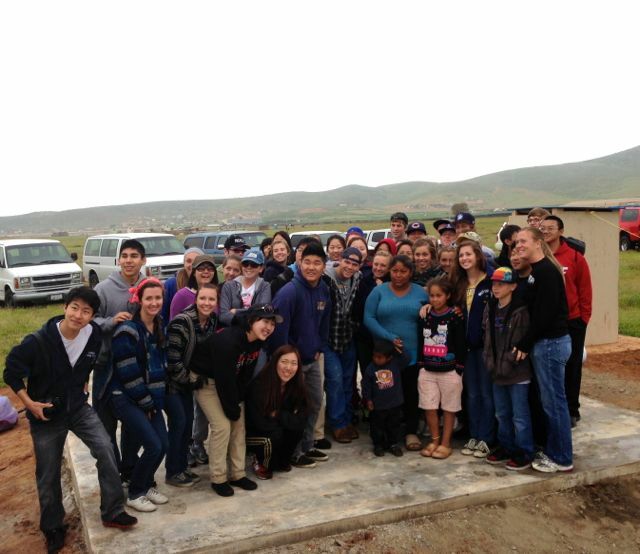 Every year Rancho Vista faithfully serves the people of Baja by providing a family with a new, warm and insulated home. 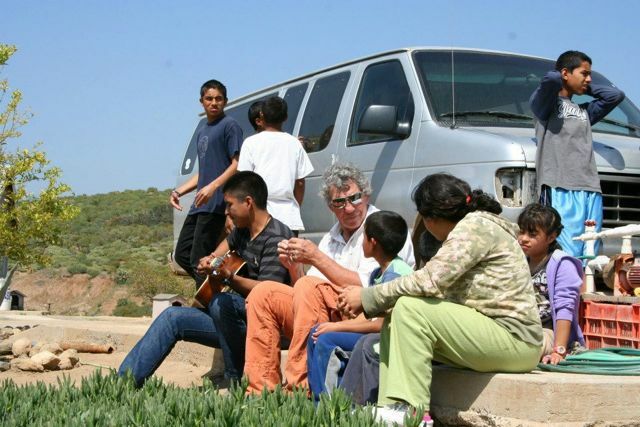 We are grateful for their consistent ministry to the poor and oppressed of Baja and for their tireless leader and director, John Rose! 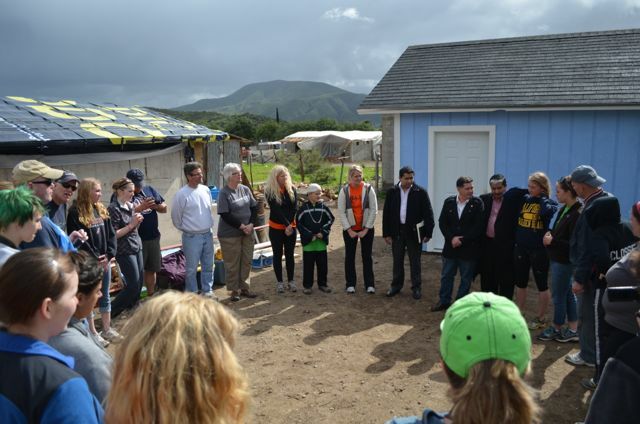 The Rock MACS gathered together this summer to gift a single mom and her family with a new home. 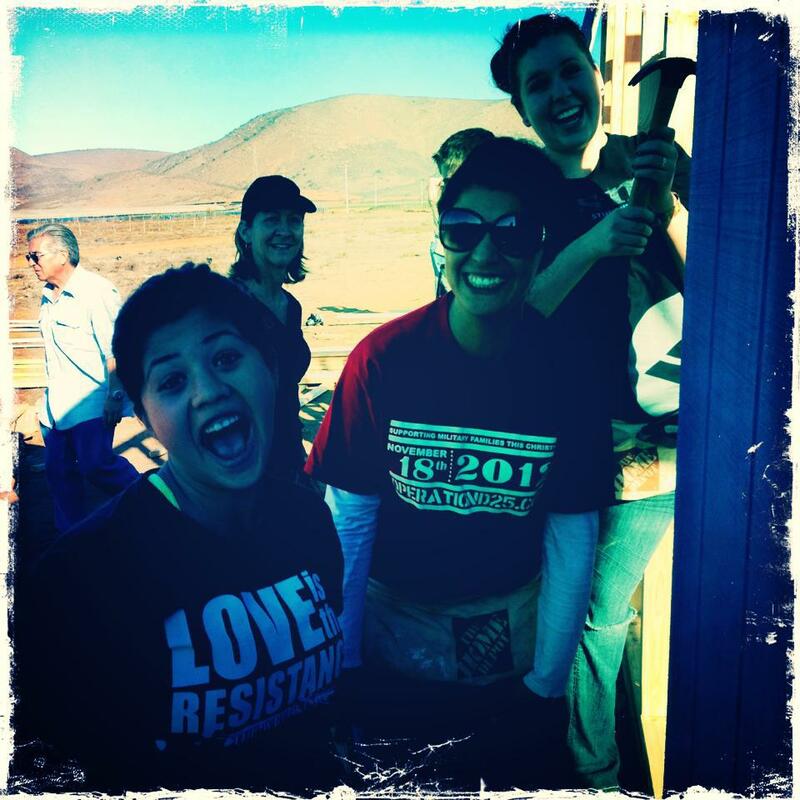 This team knows how to work hard and have a great time! 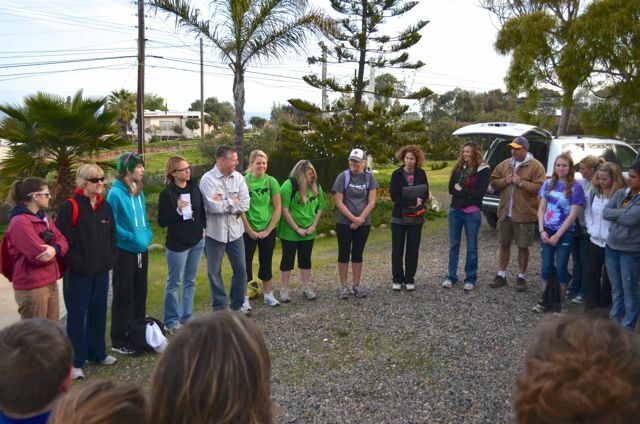 The family was touched by their love, generosity and compassion throughout the week. 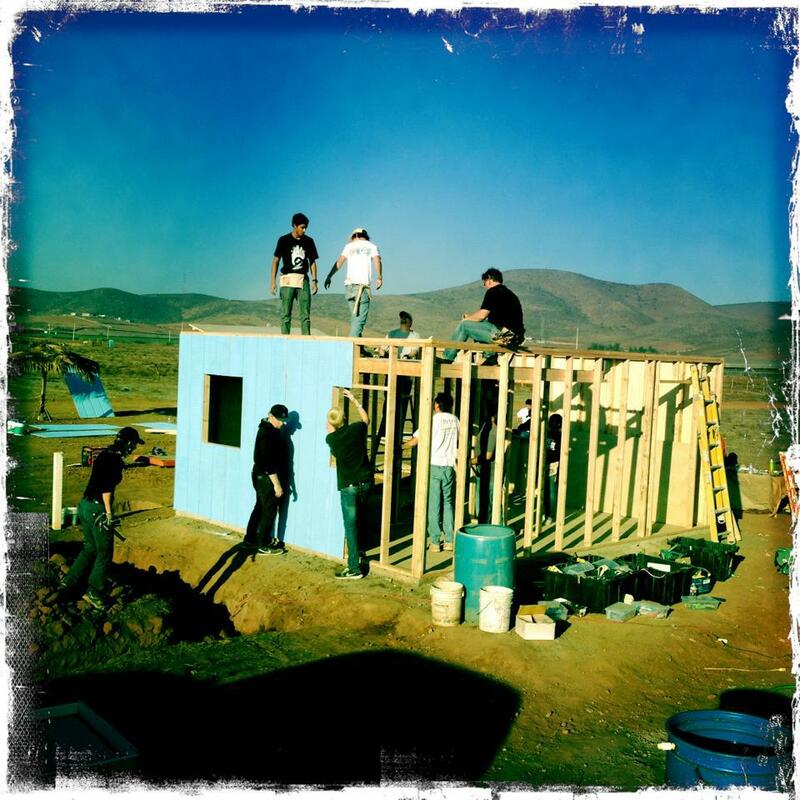 Thank you, Rock Church, for being the Gospel in action! 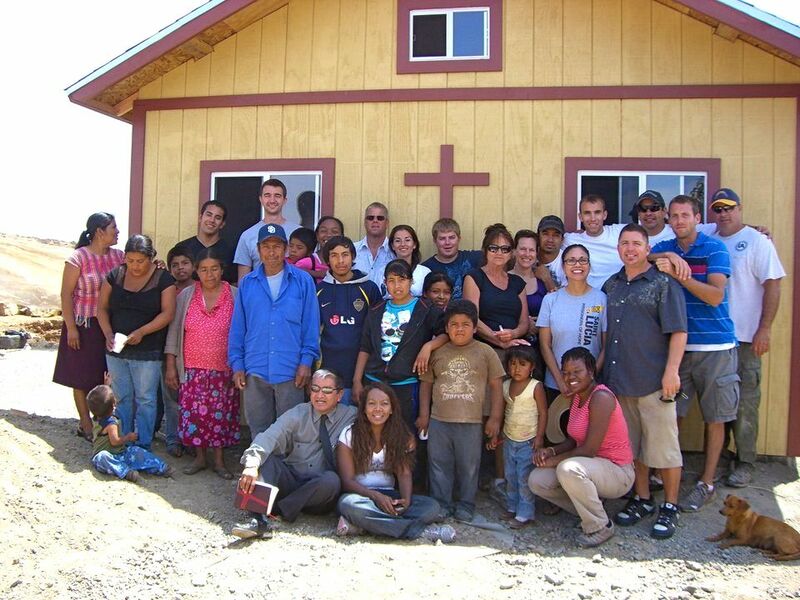 So thankful for this faithful group of men and women who came together to build phase one of a home for the Perez family of 8! 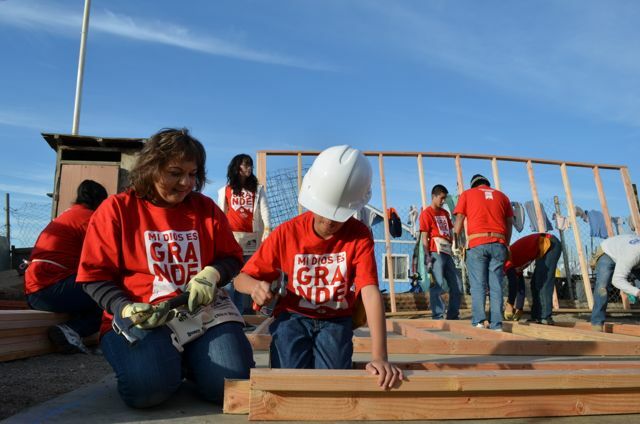 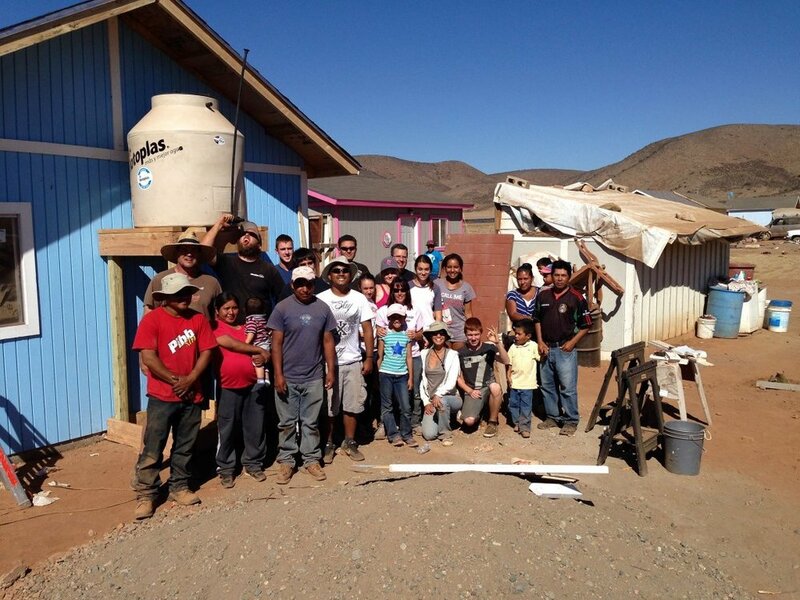 The children and parents were empowered as they labored alongside this team to help build their new home! 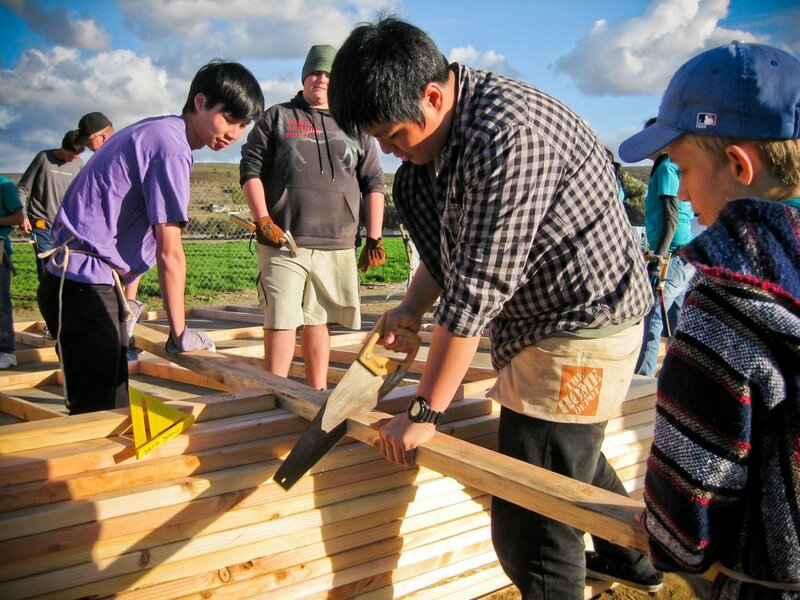 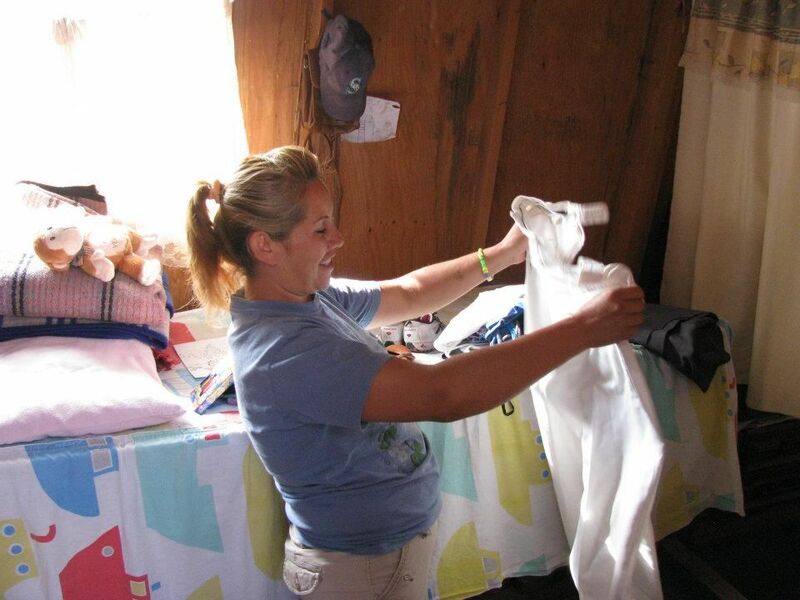 Forty-six teens from Linfield School spent their spring break giving back to a needy family. 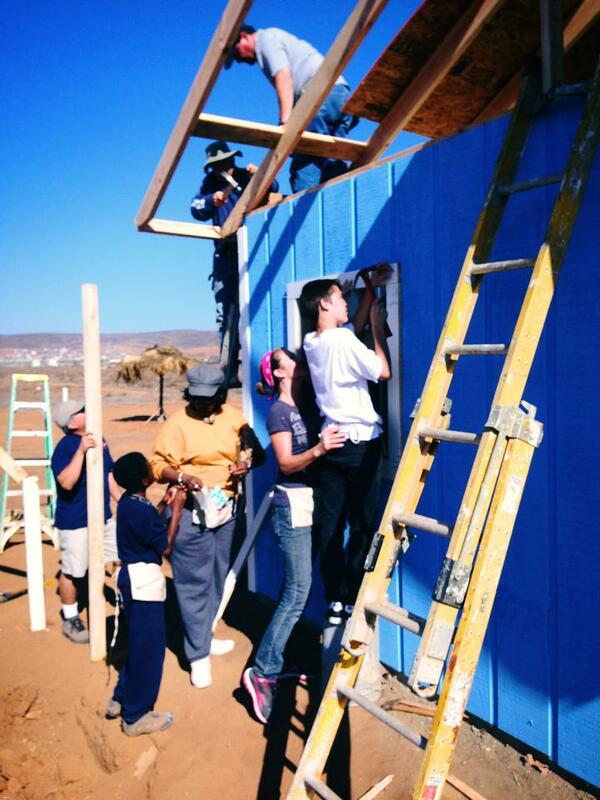 How refreshing it is to see such a great team of young people selflessly serving others...thank you Linfield for your life-changing gift! 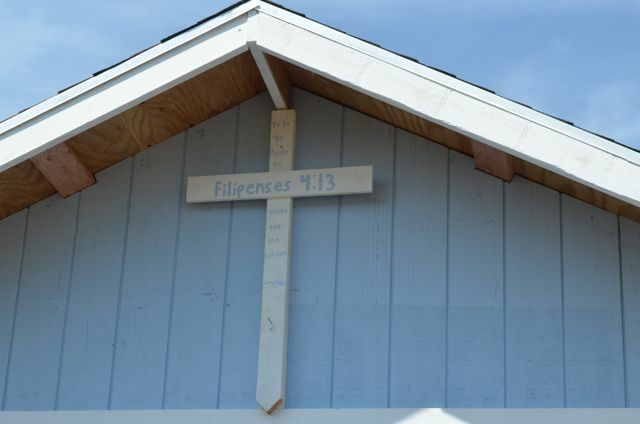 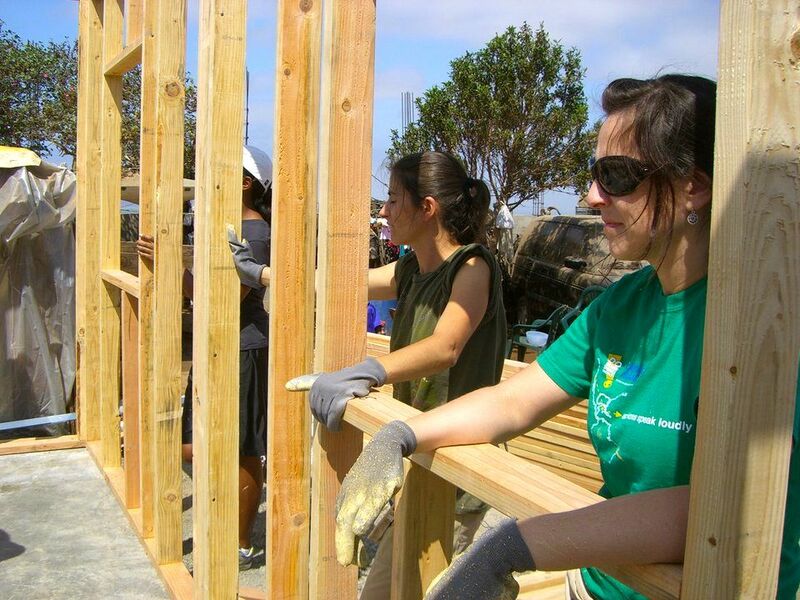 Several families from River Church in Palos Verdes spent their vacation time building a home for a family that was living in a cold, drafty tent. 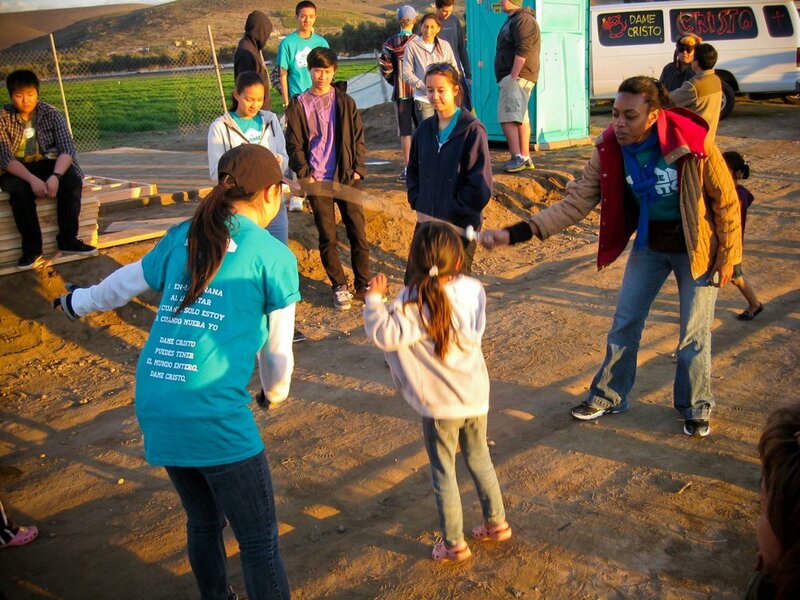 Parents served side by side with their children as they brought hope to others and created family memories that will last a lifetime! 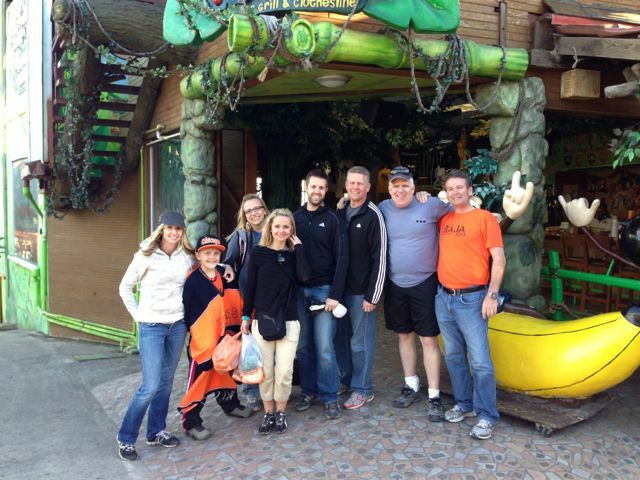 Thank you River Church for being an example of family life done well! 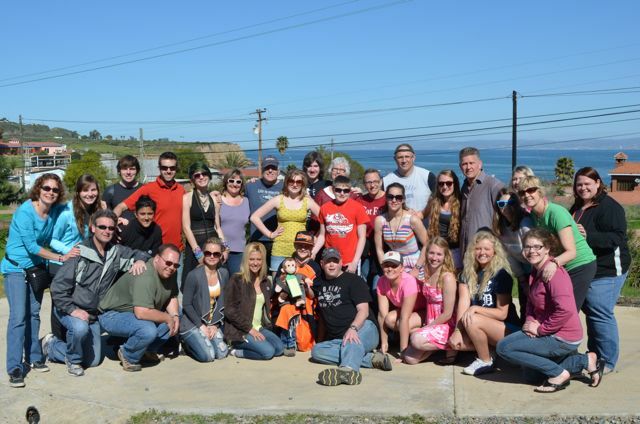 Our beloved team from Michigan spent a great week in February transforming the lives of two families in need while getting some much needed vitamin D in Baja! 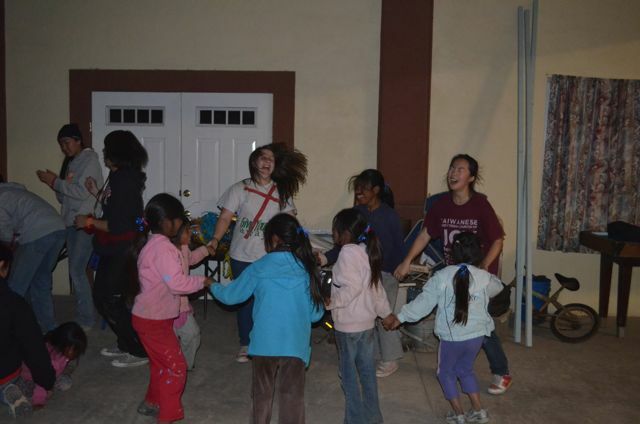 They also spent time serving at a local orphanage, stocking the families' homes with much needed items and enjoying the local flavors and sites of the region. 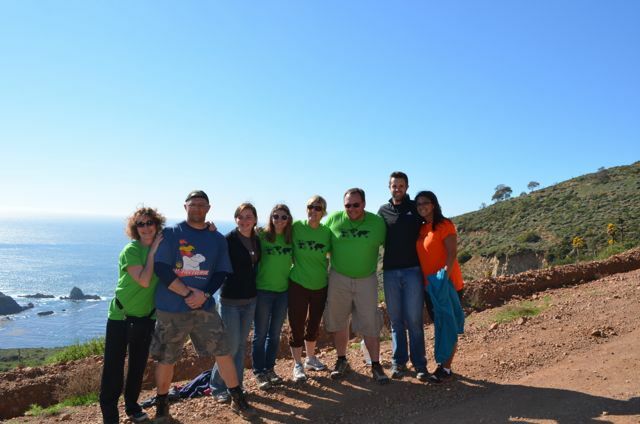 Always a pleasure to have this awesome team with us! 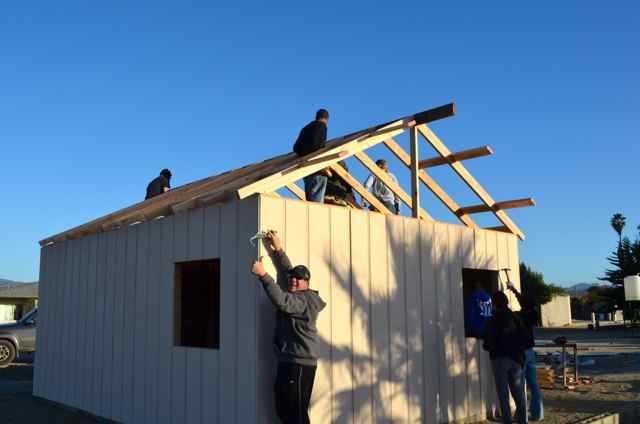 Journey Church brought their incredible team again and changed the lives of three families this past Christmas by gifting them with new homes! 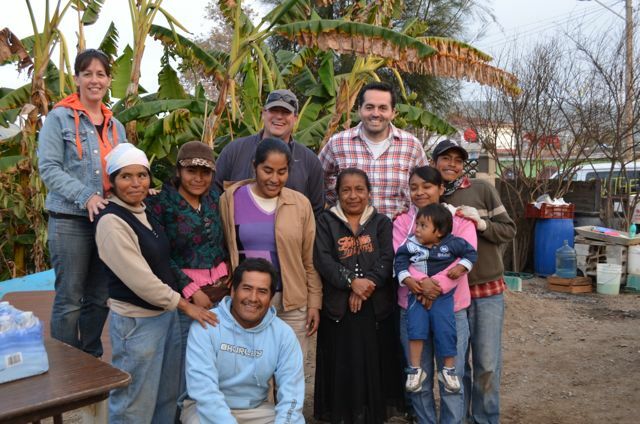 What a joy it is to see this amazing team bring the hope of the gospel to the lives of so many by their love and service. 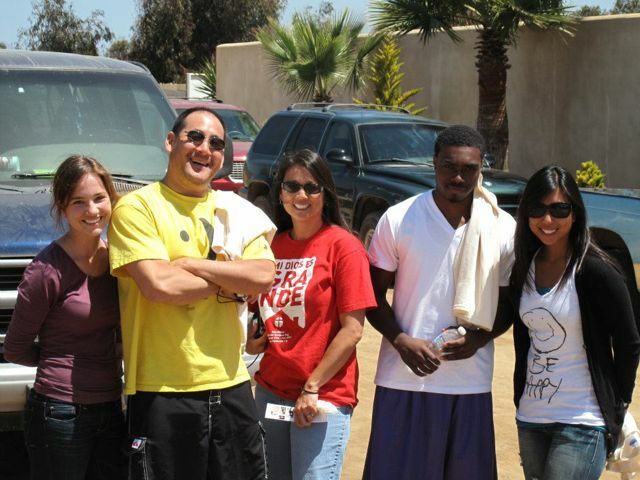 Thank you Journey Church! 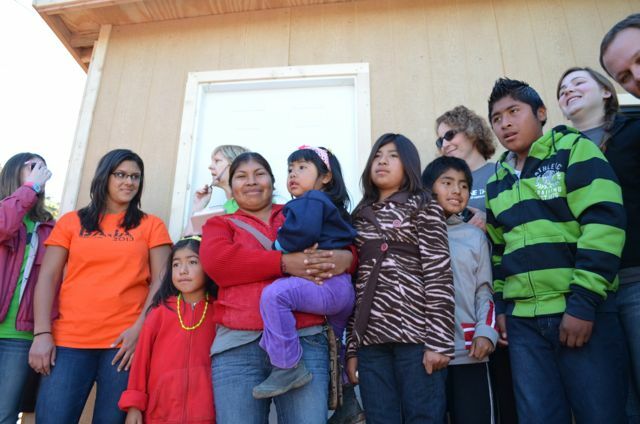 Sunridge Church gathered together over Thanksgiving weekend to gift this family with a proper home. 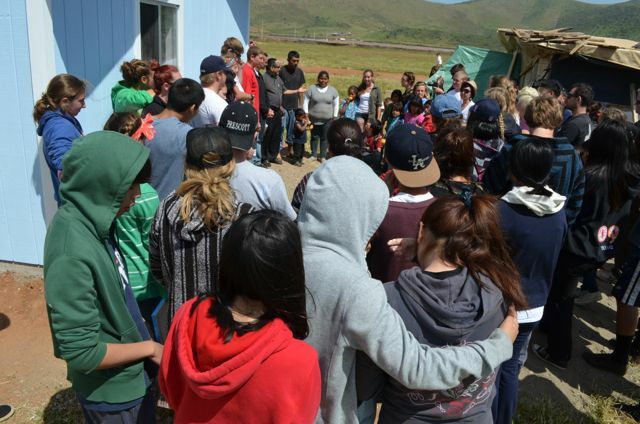 This region gets windy, wet and cold and a makeshift tent is no place to raise a family...Thank you Sunridge for your kindness and generosity! 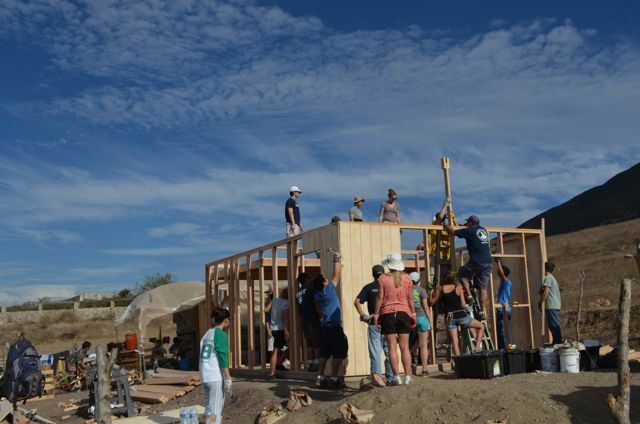 Two churches, Harbor and The Rock, had a fantastic Labor Day Weekend as they joined forces to build for a sweet family of five. 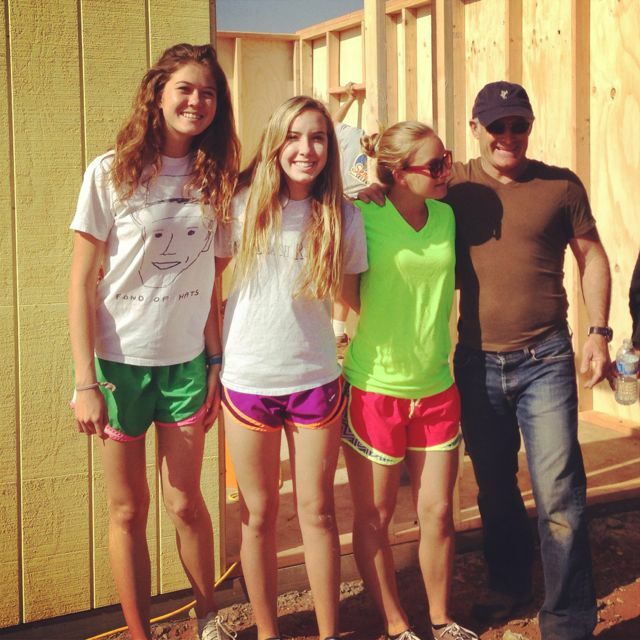 This team managed to finish the home in only 2 1/2 days while immersing themselves fully with the family and surrounding neighbors. 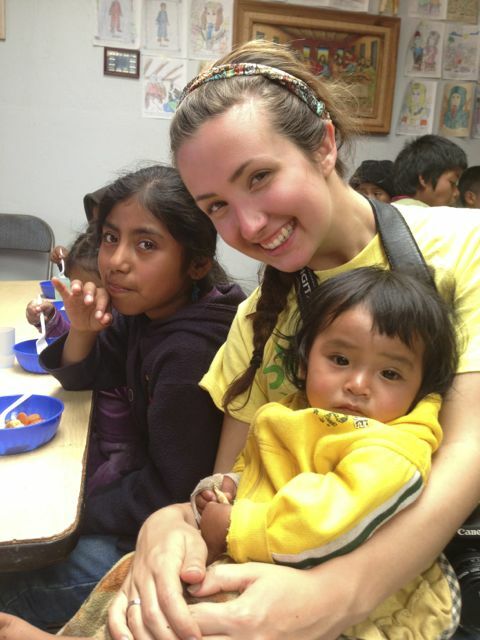 Over the course of the weekend the team became very attached to the children. 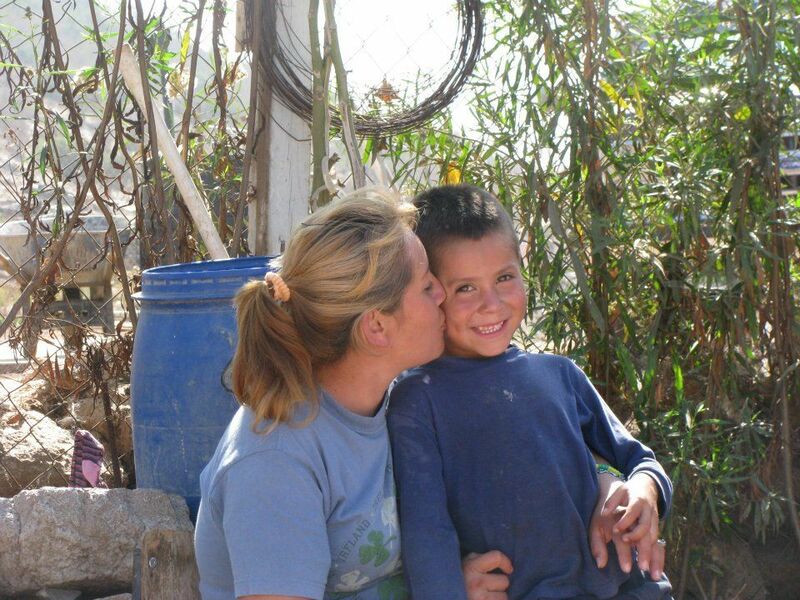 The oldest, Eduardo, is highly motivated and making excellent grades in school. 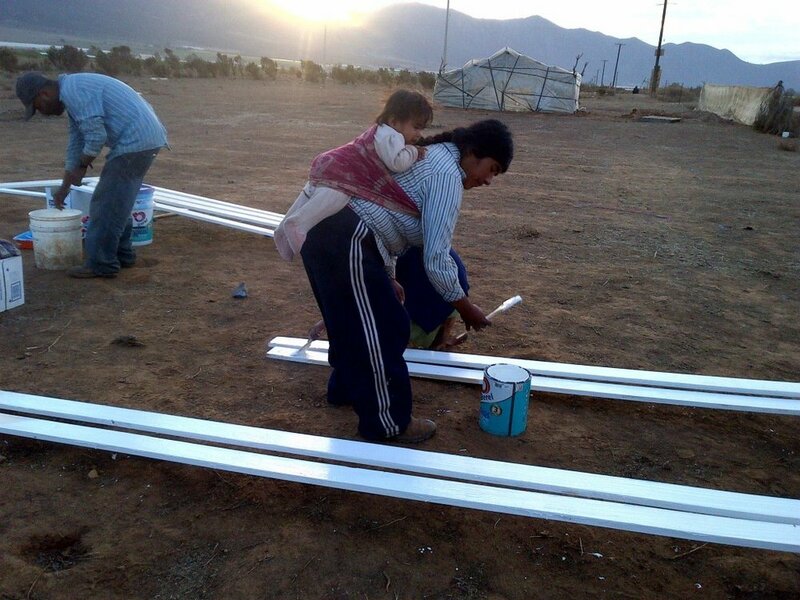 Moved by his determination, a team member is now sponsoring him for his educational expenses, taking another step further to reversing the cycle of poverty in this region! 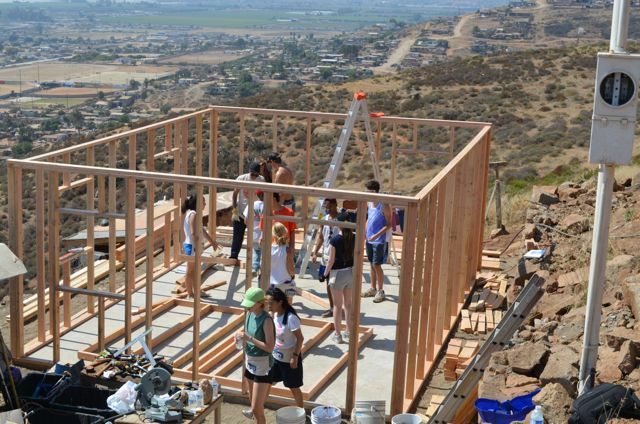 Rancho Vista Church sent their "A" team this past August to complete a home for a family of 10 who were living in a cardboard structure they called home. 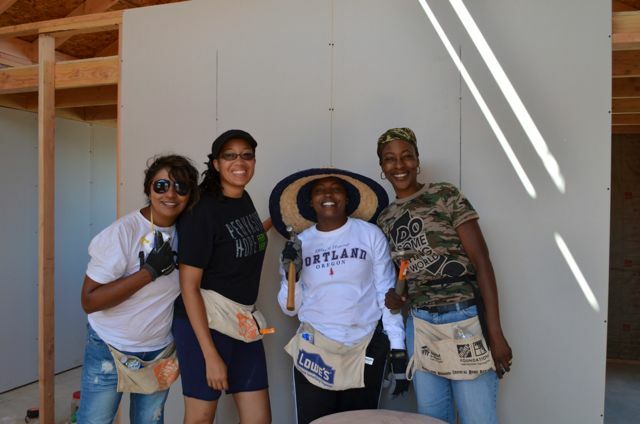 This church build project happened to fall on the hottest days of the summer but it did not stop this group of seasoned builders from doing what they do best: building, loving, serving and eating tacos! 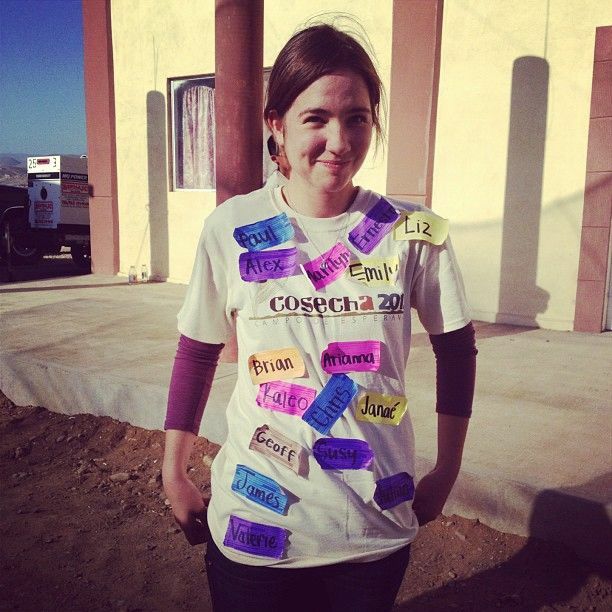 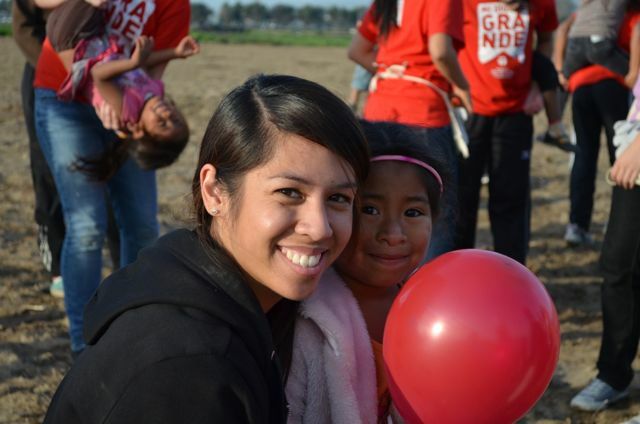 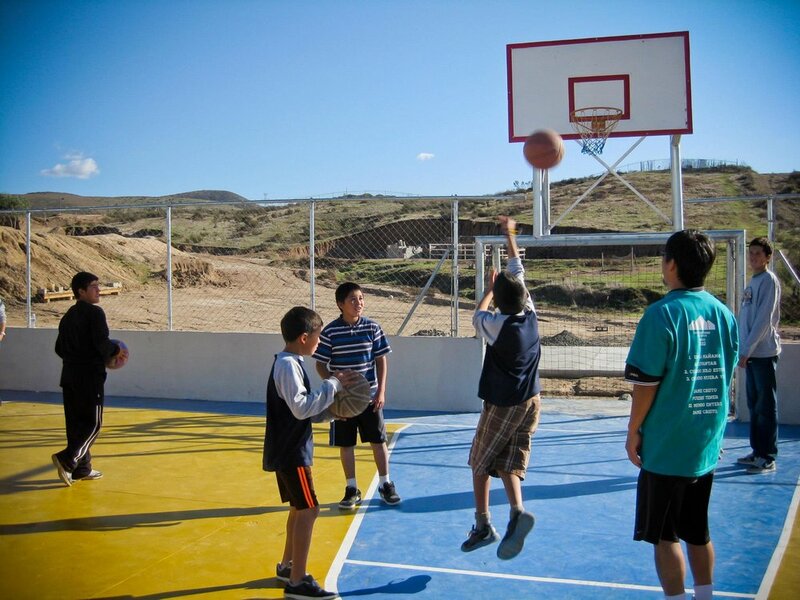 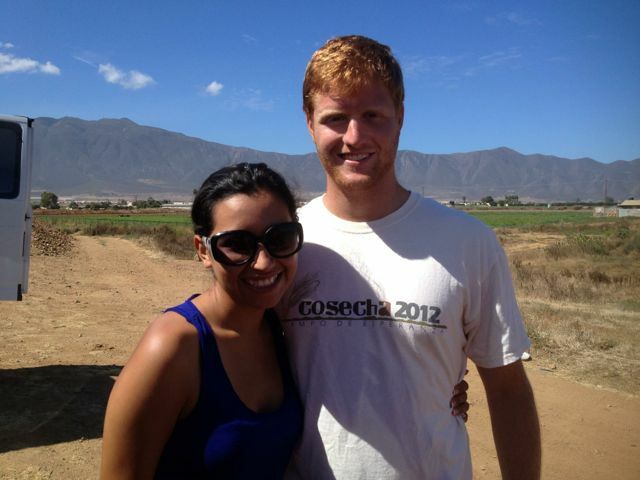 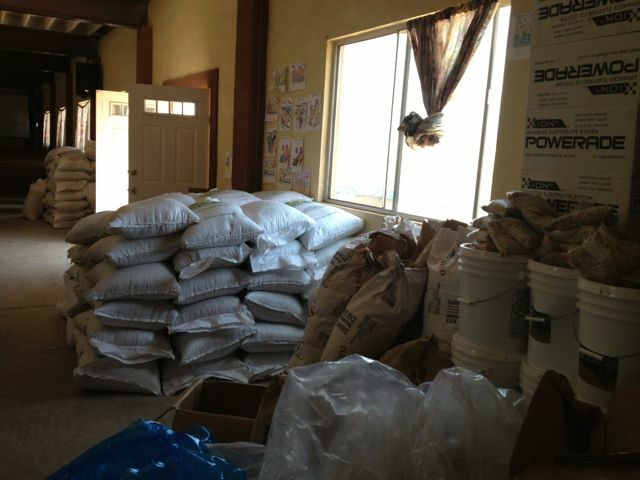 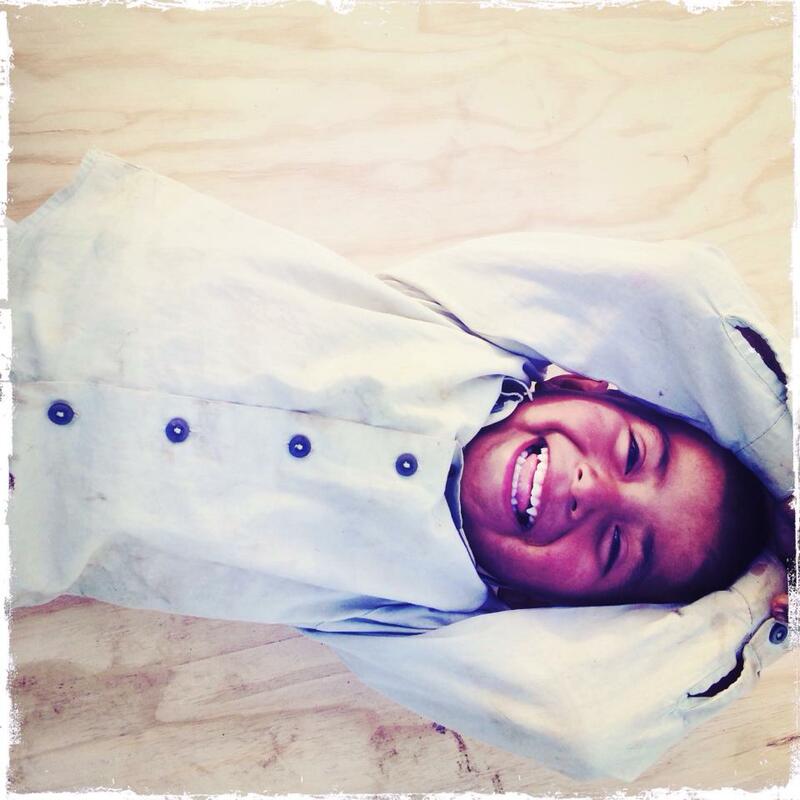 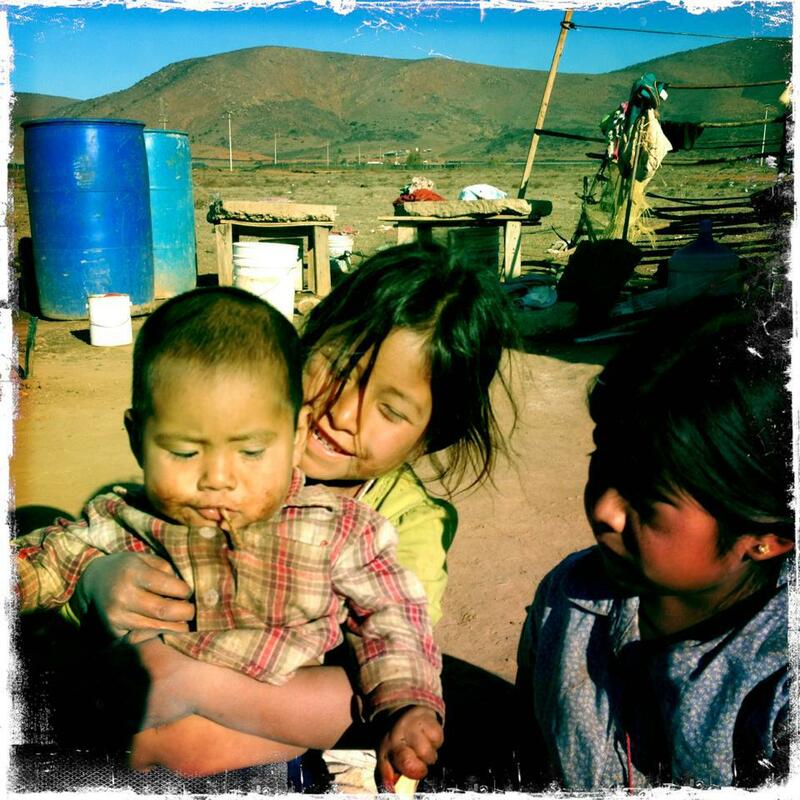 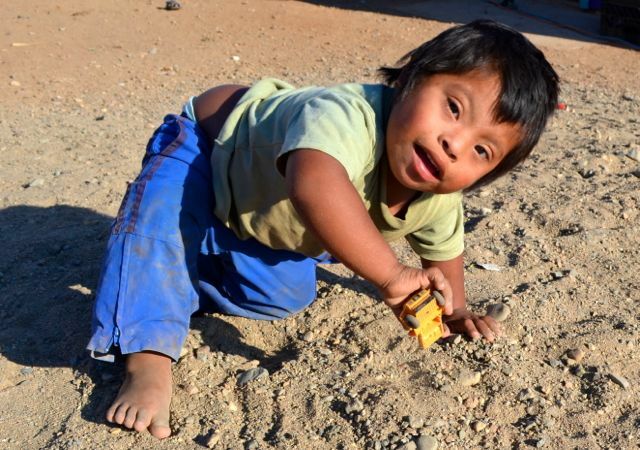 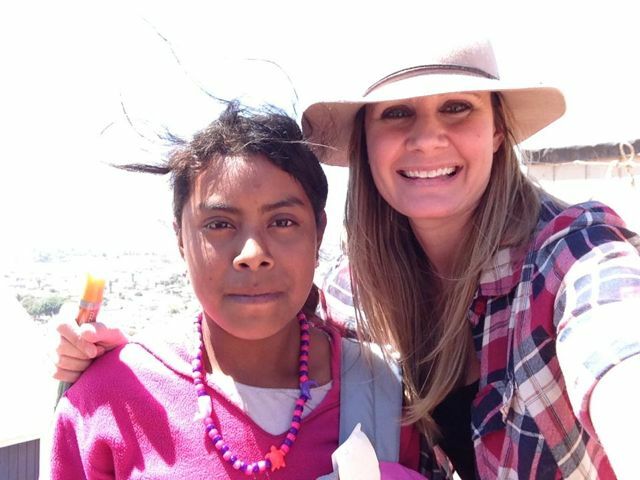 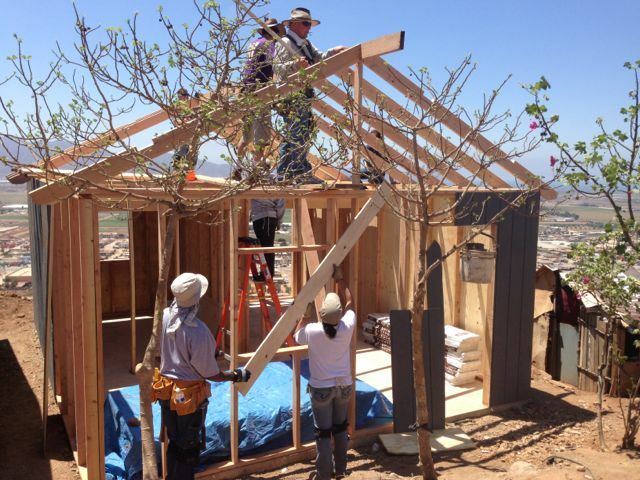 Thankful for the ongoing commitment from RVC to love and bring hope to the people of Baja! 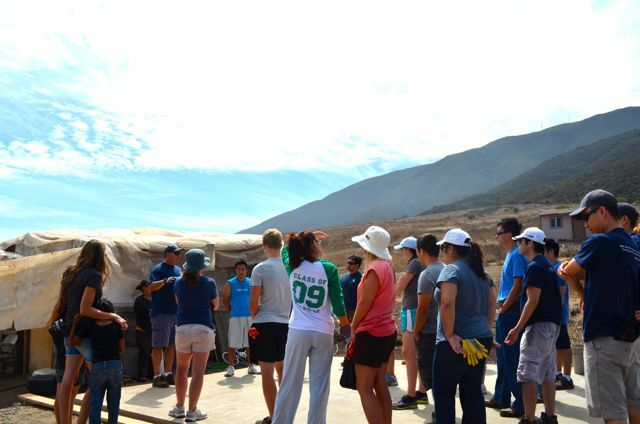 In July we welcomed a team from the great state of Michigan. 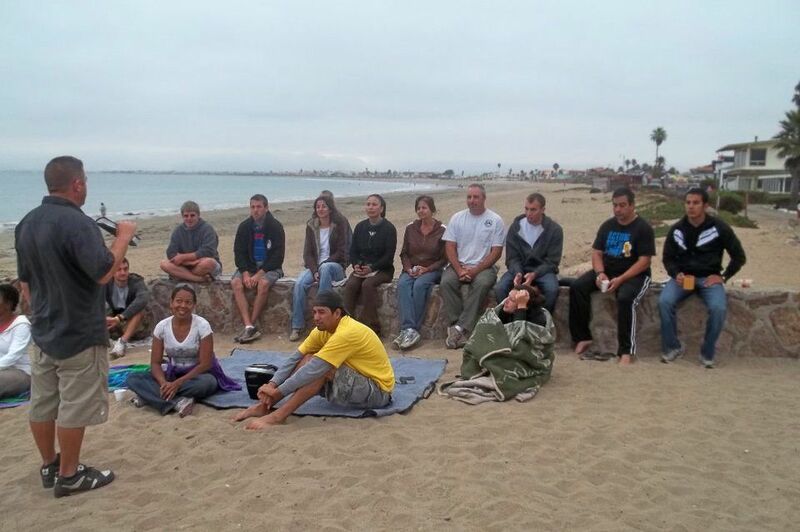 We were overwhelmed by this selfless group of amazing teens and their leaders who spent a week with us serving in Baja. 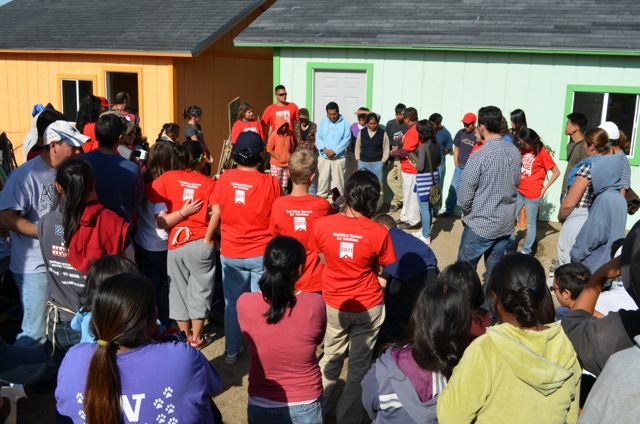 Not only did they completely transform the lives of a single mom and her three kids by gifting them with a new home but they also invested extra time in getting to know them. 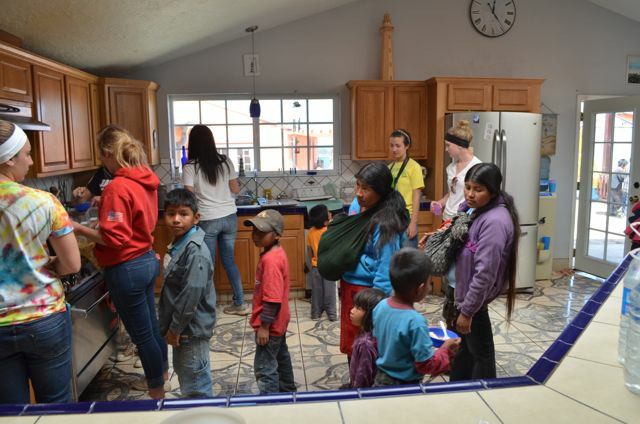 On the day the team presented the family with their new home, they opened the door to discover special gifts for each family member located throughout the home. 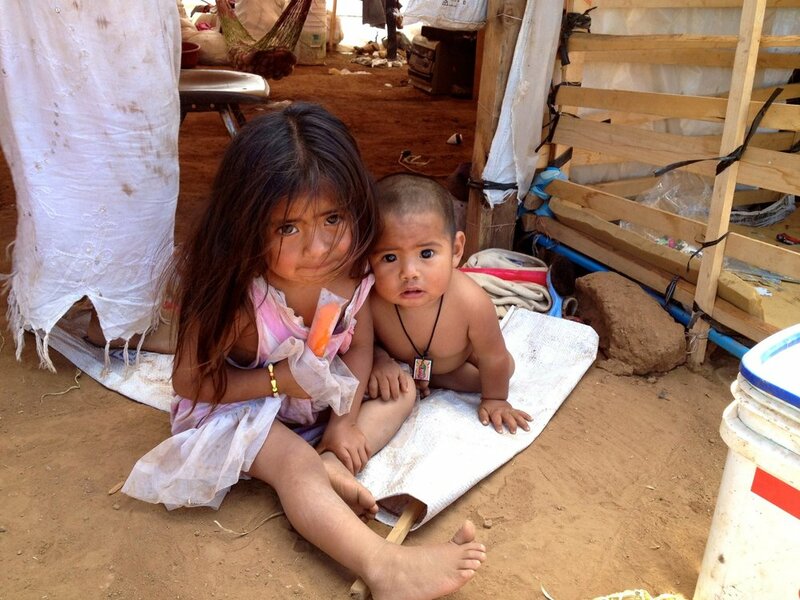 Each one wept out of gratitude for the generosity and love shown to them! 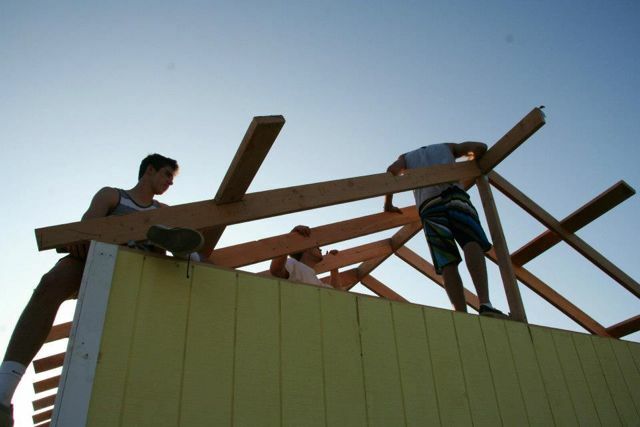 This past June we welcomed a team of High School students from Trinity School in Manhattan to build a house for a single mom, named Ruffina. 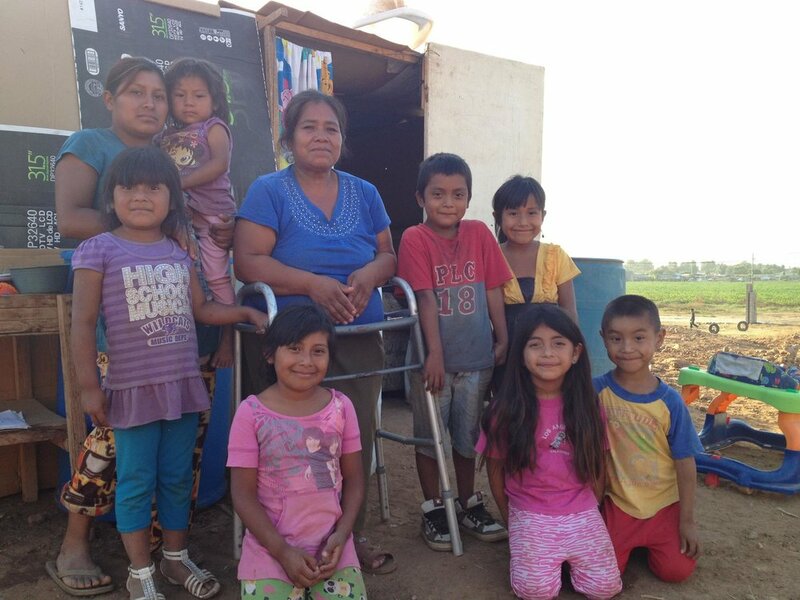 Ruffina has eight children but had to place the younger children in an orphanage due to her unfit living conditions. 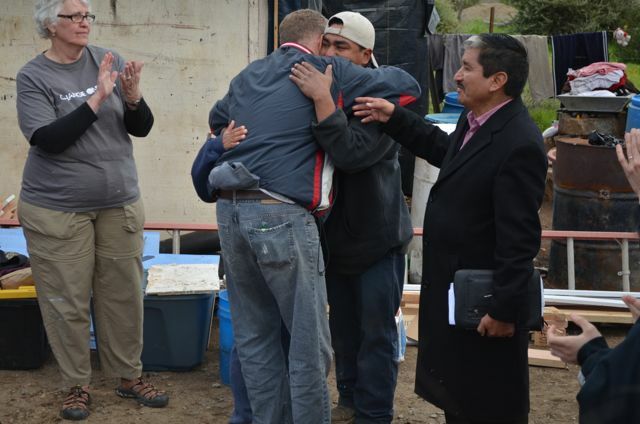 Thanks to the generosity of this team, the family has been reunited and they are now living in a warm and suitable home! 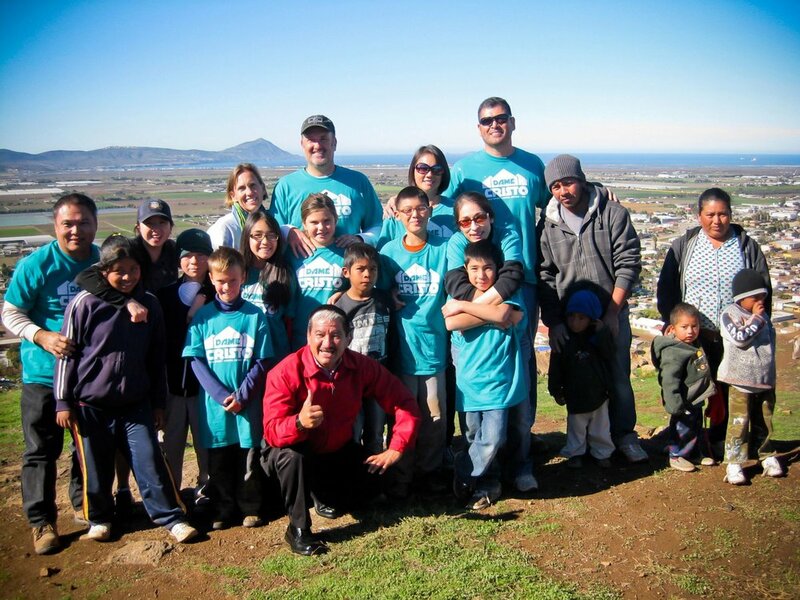 We had a fantastic Memorial Day weekend serving a local orphanage and assisting the Village of Hope with their large Cosecha event. 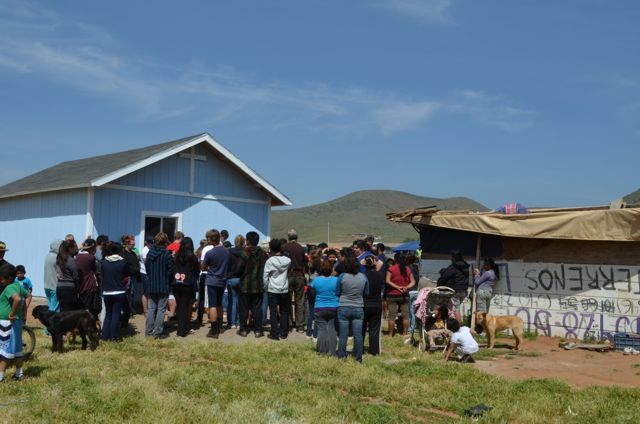 Literally thousands of people from the local villages showed up for this village celebration...Families received food, donations and the message of the Gospel! 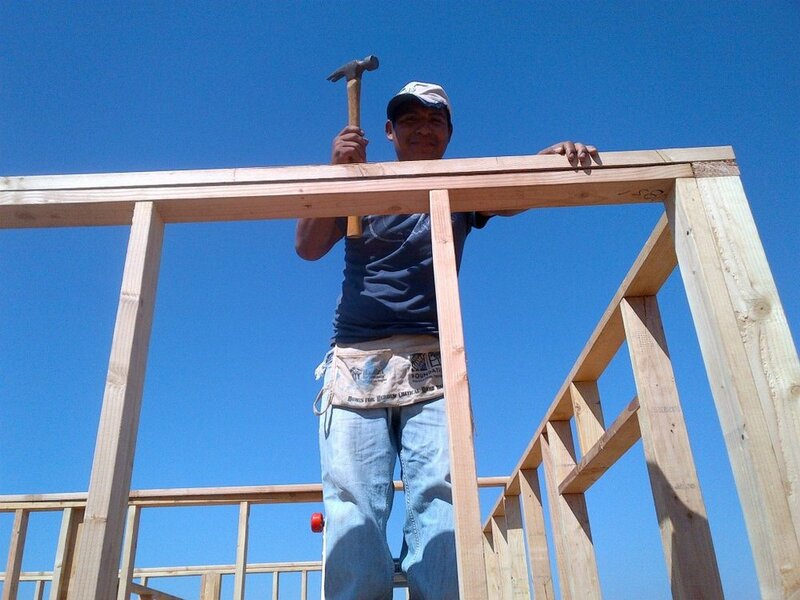 The lives of three families were changed and filled with hope this past spring as we hosted three house building projects. 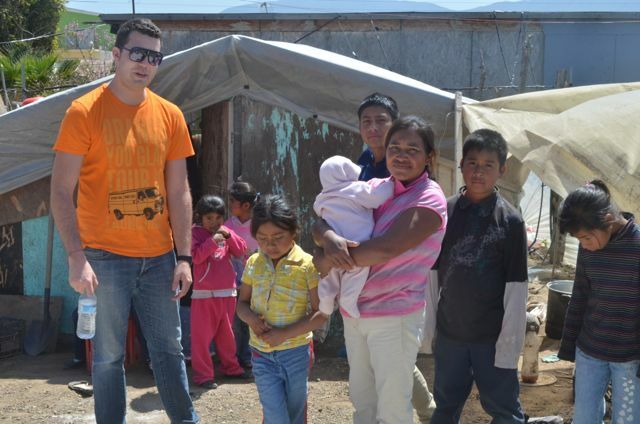 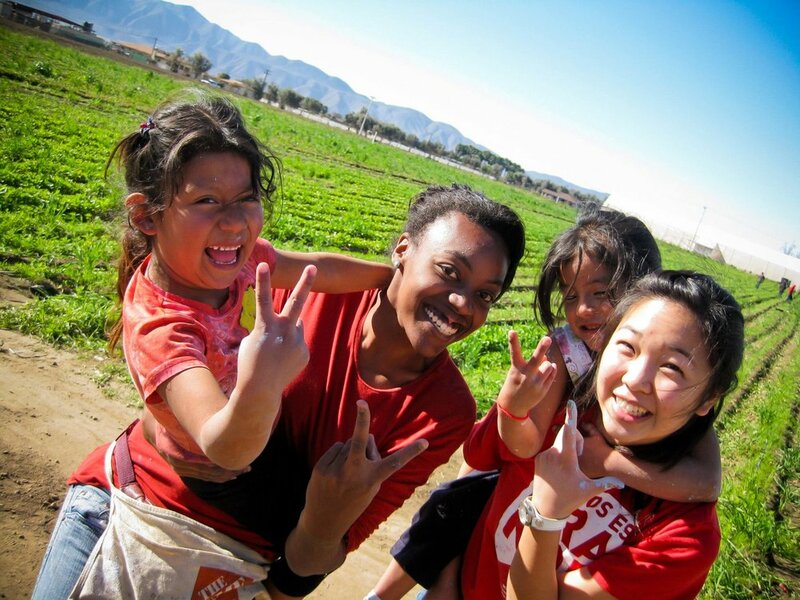 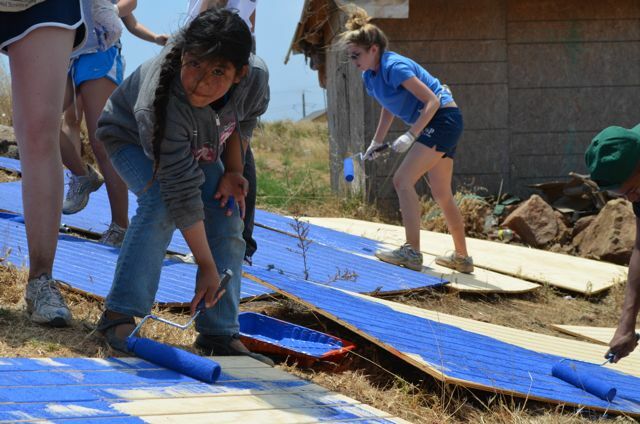 Linfield School in Temecula, River Church in Palos Verdes and Harbor Church North County all spent their spring break sacrificially giving back to the people of Baja! 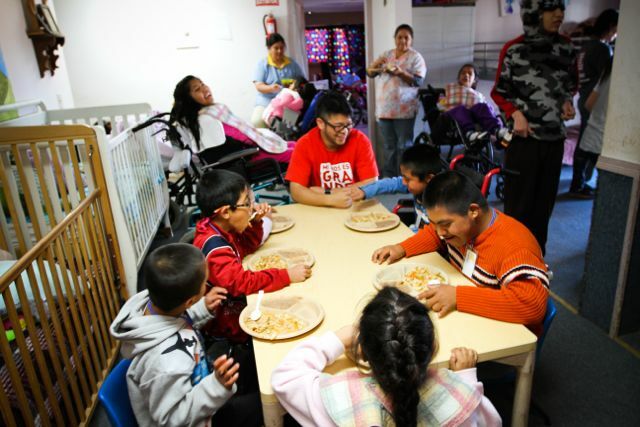 One of the primary metaphors God uses to describe heaven is a feast, literally a party! 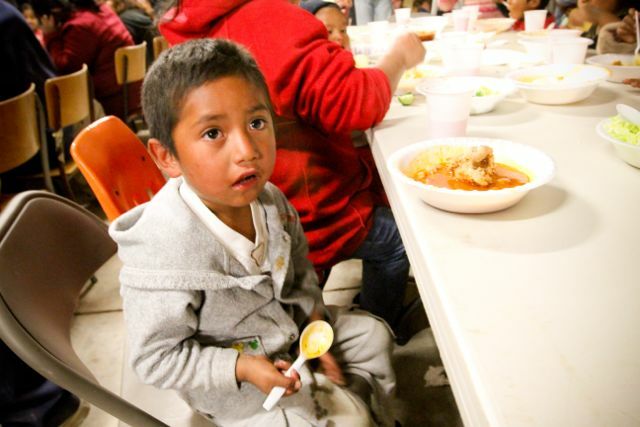 The implications of this truth are that God's people should be a party people that lead others into God's banqueting hall. 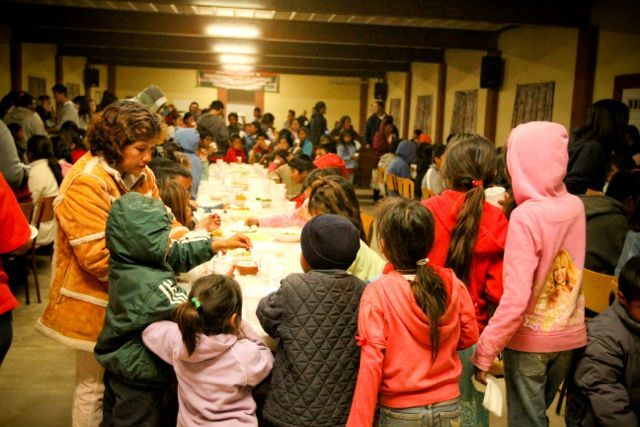 A hall that echoes with song, celebration, laughter and the buzz of a hundred conversations that unequivocally states that we're a reconciled people. 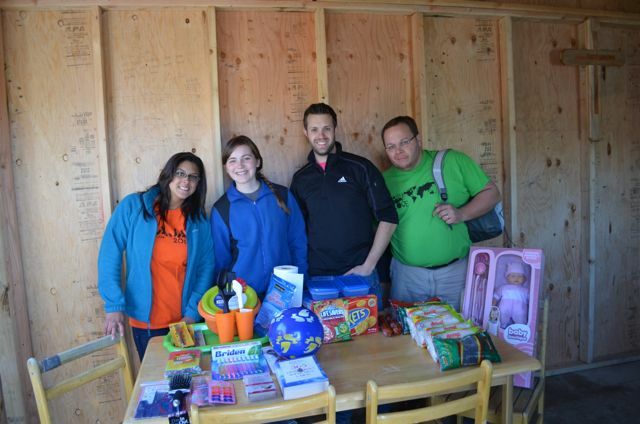 A modern biblical scholar once said, "the Kingdom of God is a party." 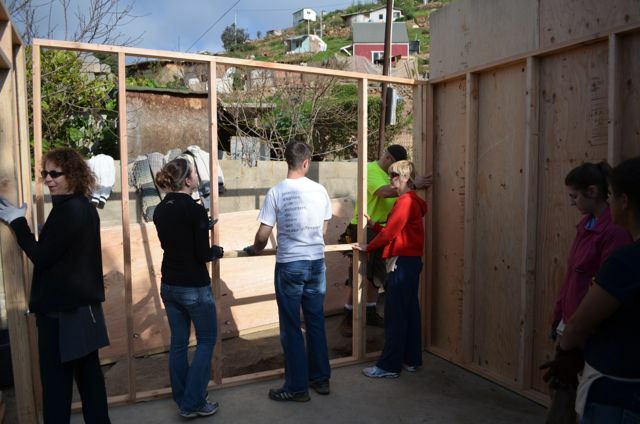 If this is true, we all have much to learn from the mission team from Journey Covenant Church who constructed four homes over a five-day window between Christmas and New Year's Day. 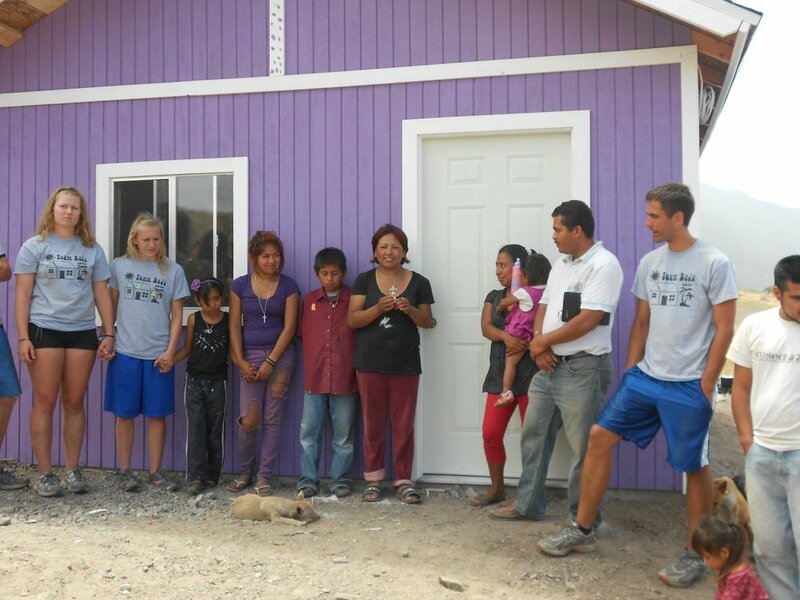 On the last evening Journey Church hosted a party for the recipients of the new homes, their neighbors and many of the surrounding villages. 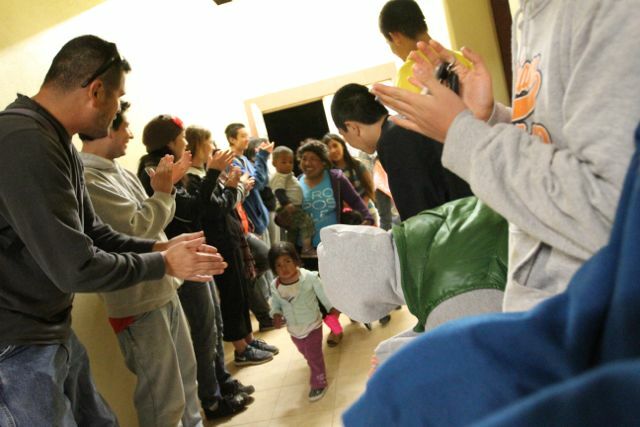 Families made their way to the celebration by various modes of transportation and received a heroes welcome as the Journey team lined the entry way greeting guests with shouts of joy, clapping and a heart-felt embrace. 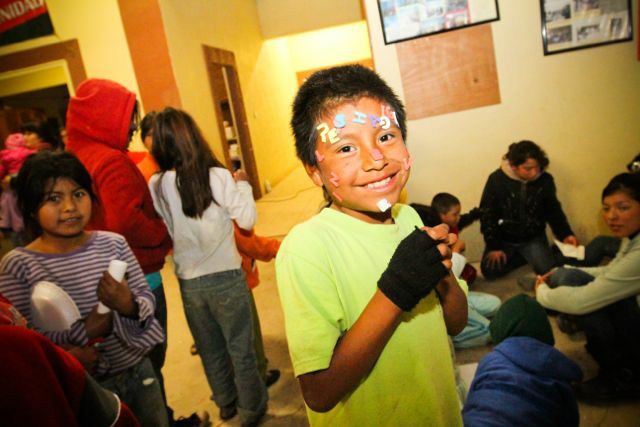 Over 300 guests entered the banquet hall and gathered for a hot meal, worship, the breaking of several piñatas and an evening not soon to be forgotten. 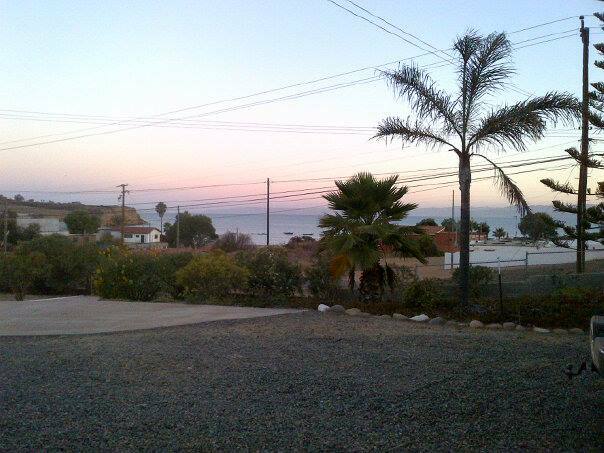 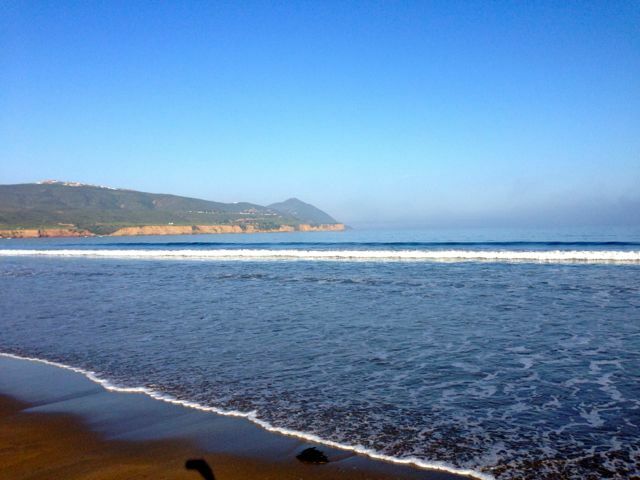 For one evening on a chilly Baja night, probably not unlike the eve of Christ's nativity, the Son of God's presence was felt again in our broken world. 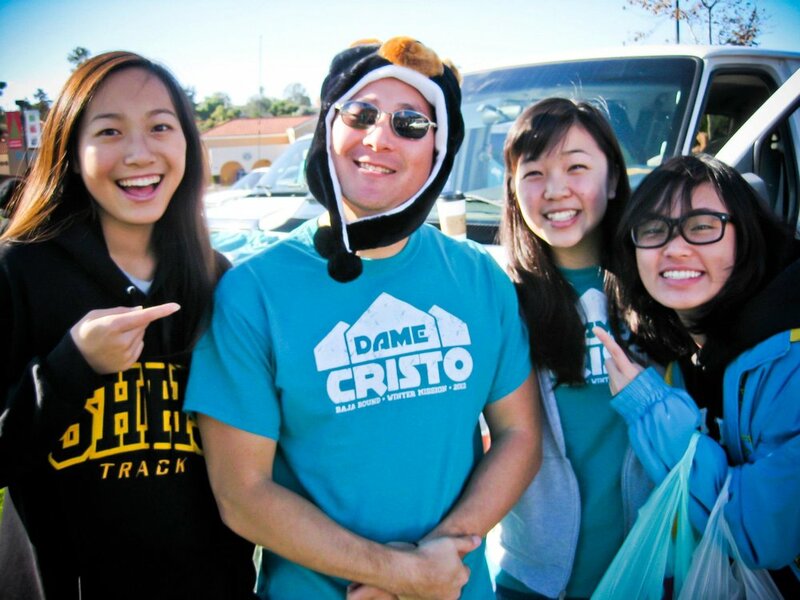 This time not through the incarnation, but in the manner He comes in this present age: through His church. 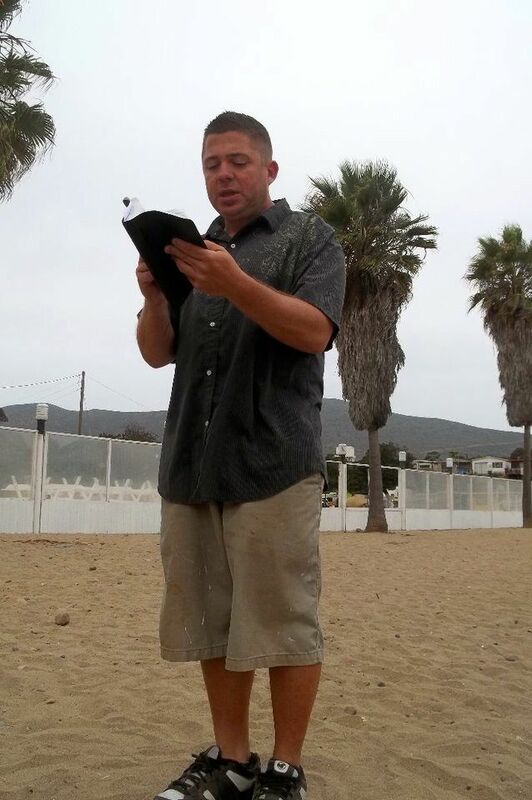 The leadership of Baja Bound is humbled by the presence of Christ we experienced through His people at Journey Covenant Church and extend our gratitude for giving the people of Ensenada a taste of the coming age where Jesus rules forever! 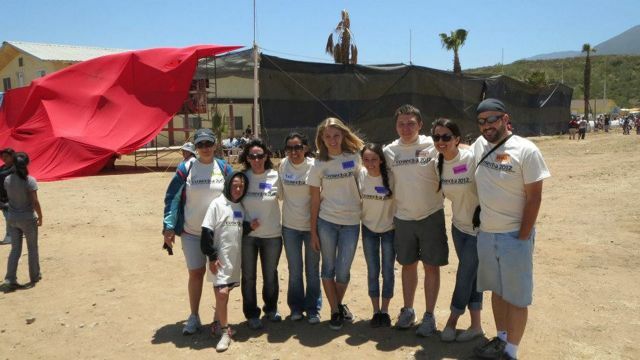 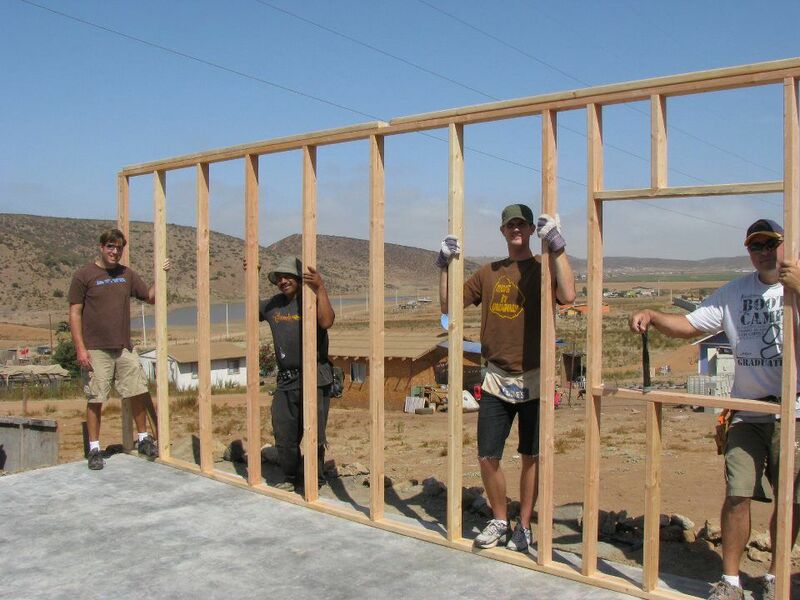 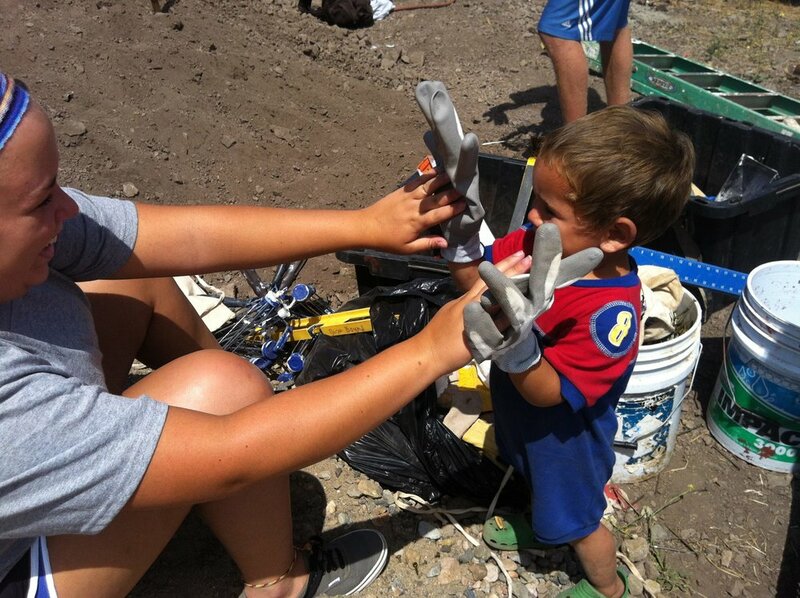 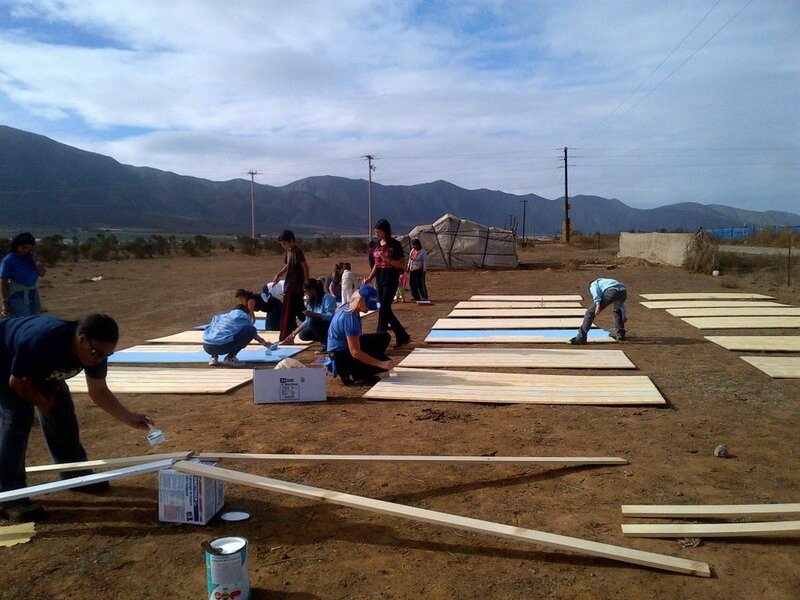 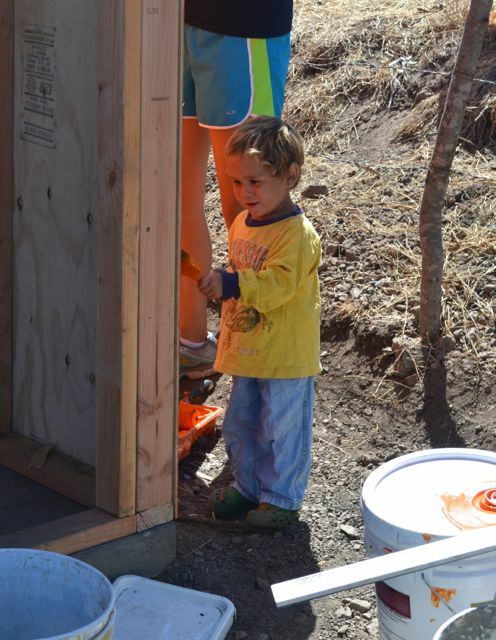 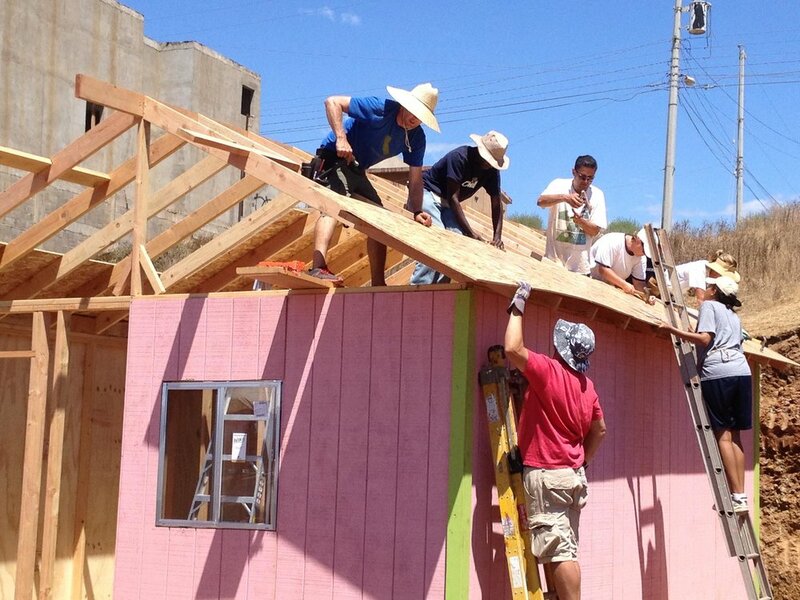 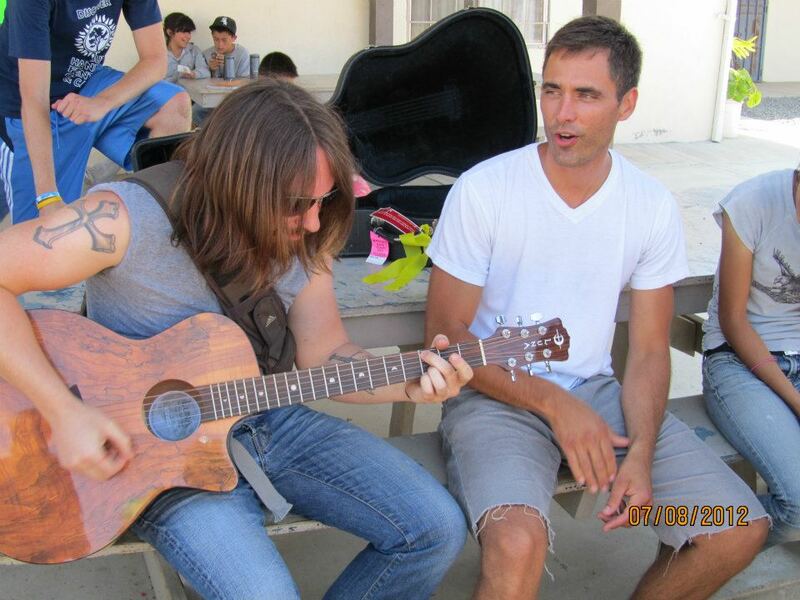 The Rock Church returned to Baja in August with another team ready to serve and build. 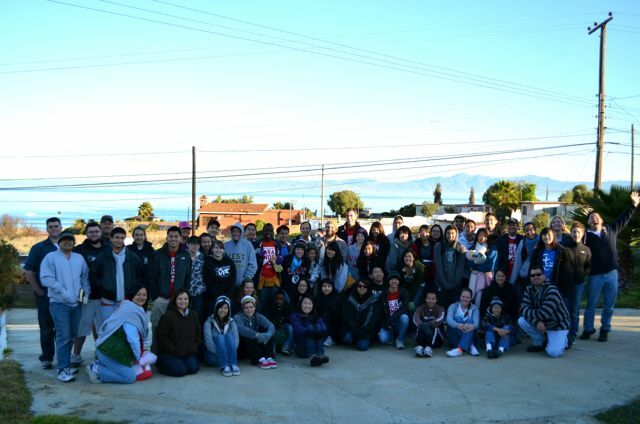 They had a fantastic weekend connecting, serving and loving our neighbors to the South. 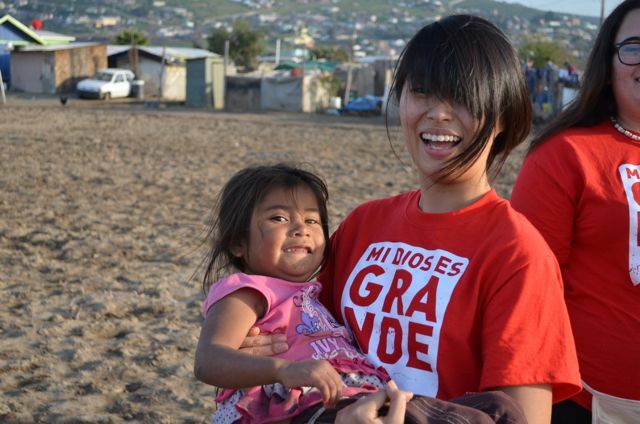 God, through the prophet Micah, said, "He has told you, O man, what is good; and what does the LORD require of you but to do justice, and to love kindness, and to walk humbly with your God" (Micah 6:8) The staff at Baja Bound is humbled by how we observed the justice and kindness of God through the mission team from Rock Church. 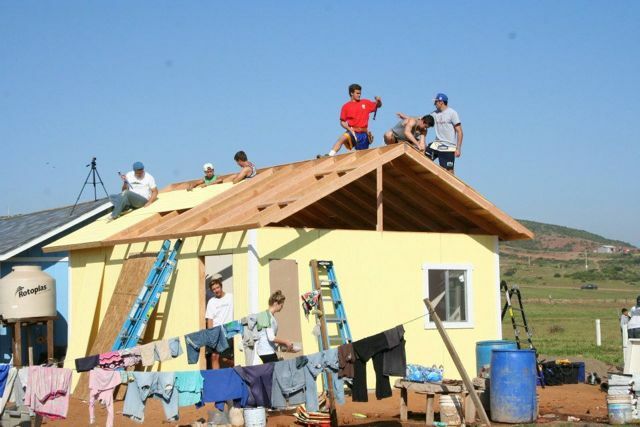 Justice cries for all to have a roof over their head, kindness seeks to make it happen, and walking with God mobilized us to action. 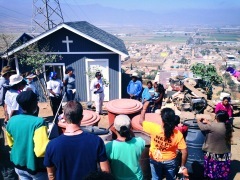 Thank you Rock Church! 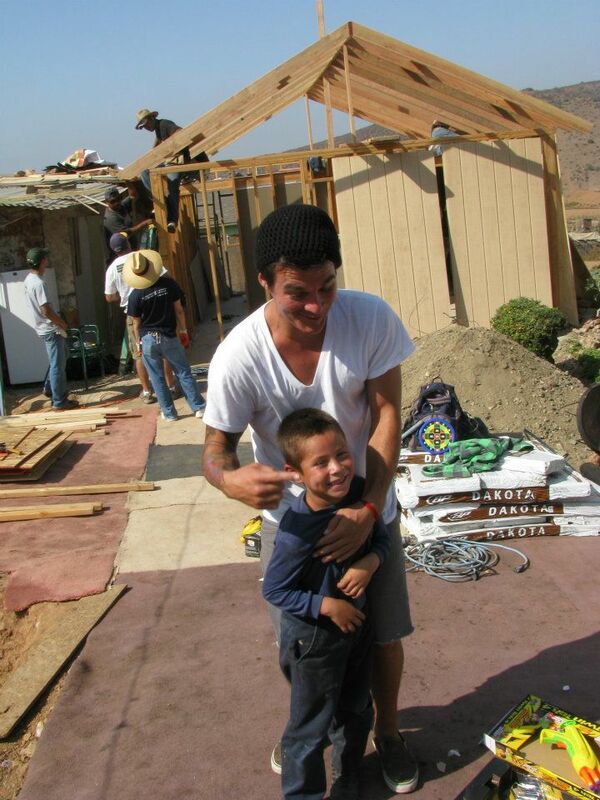 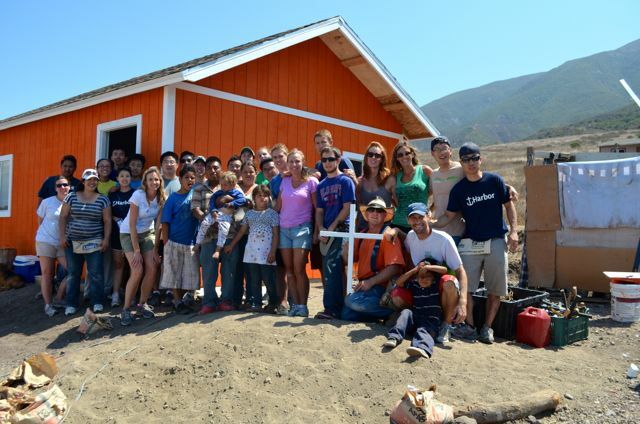 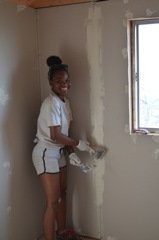 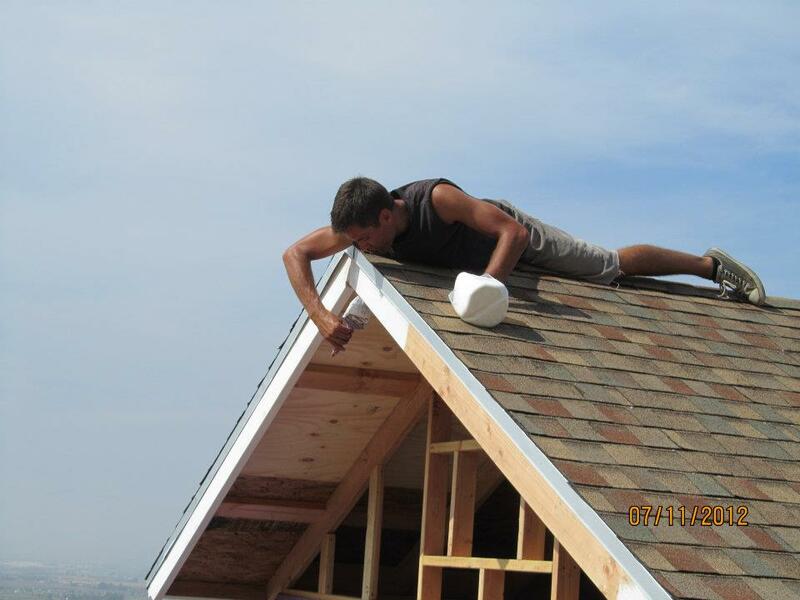 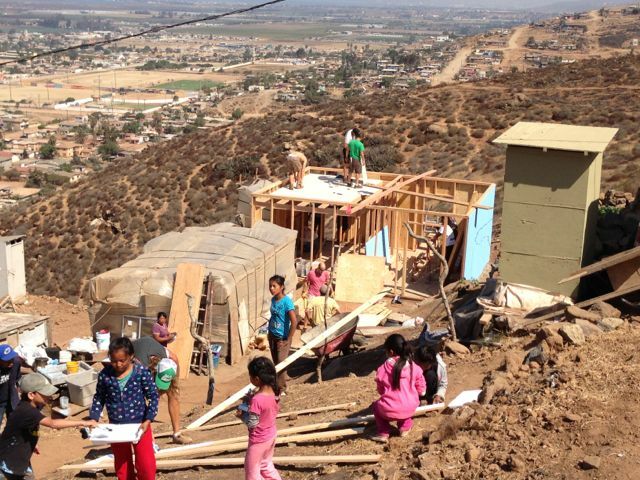 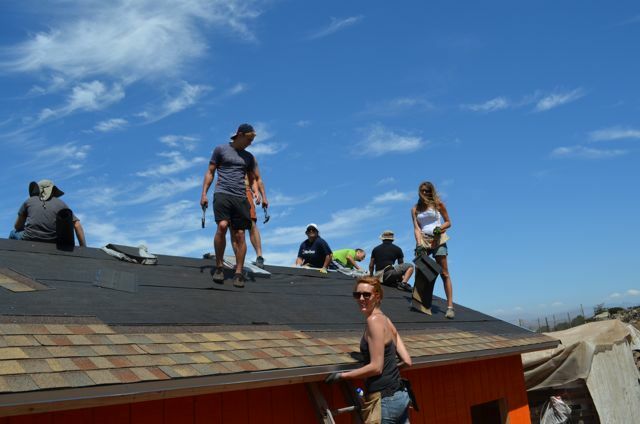 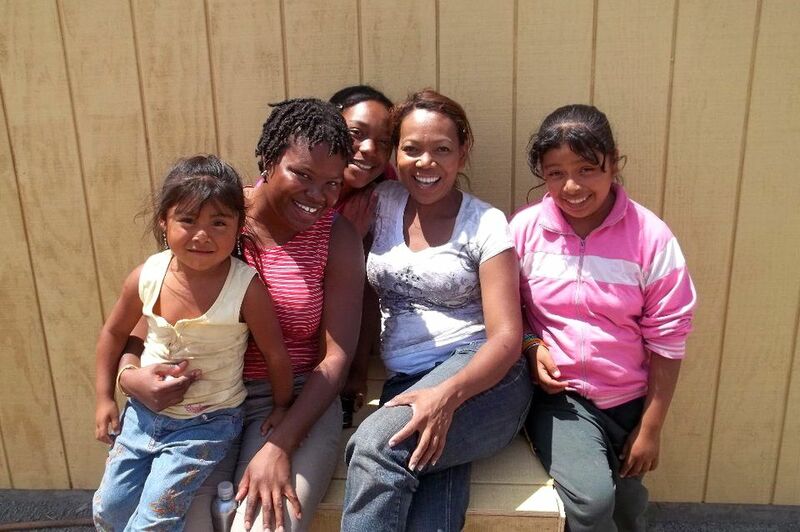 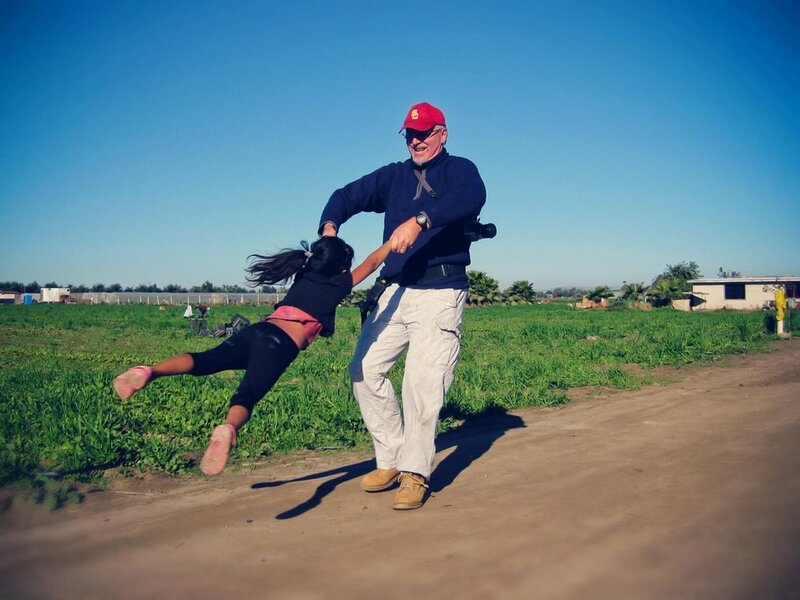 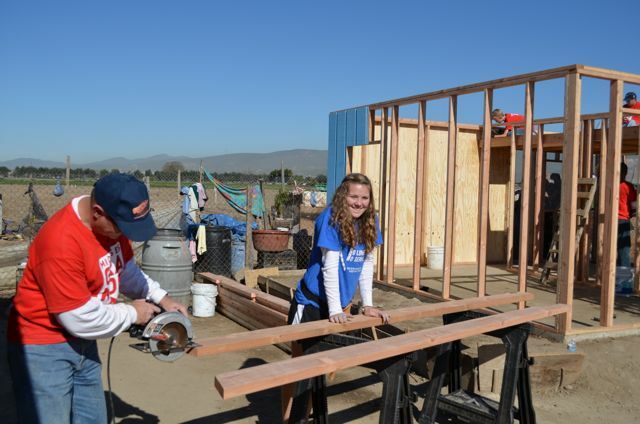 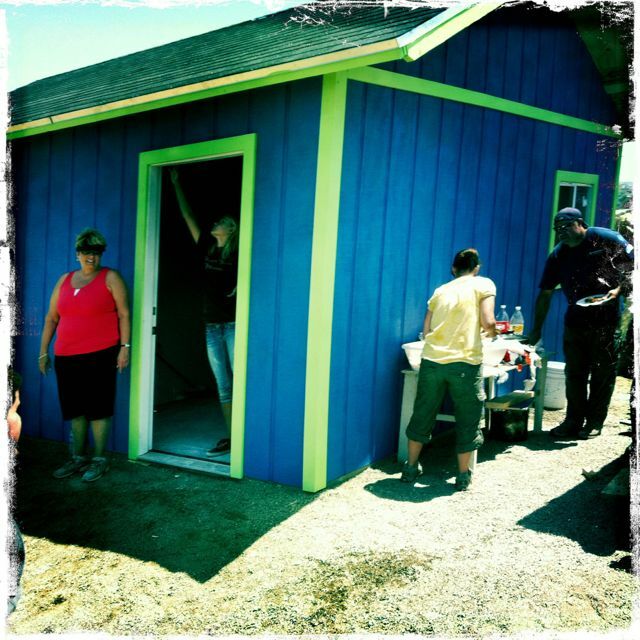 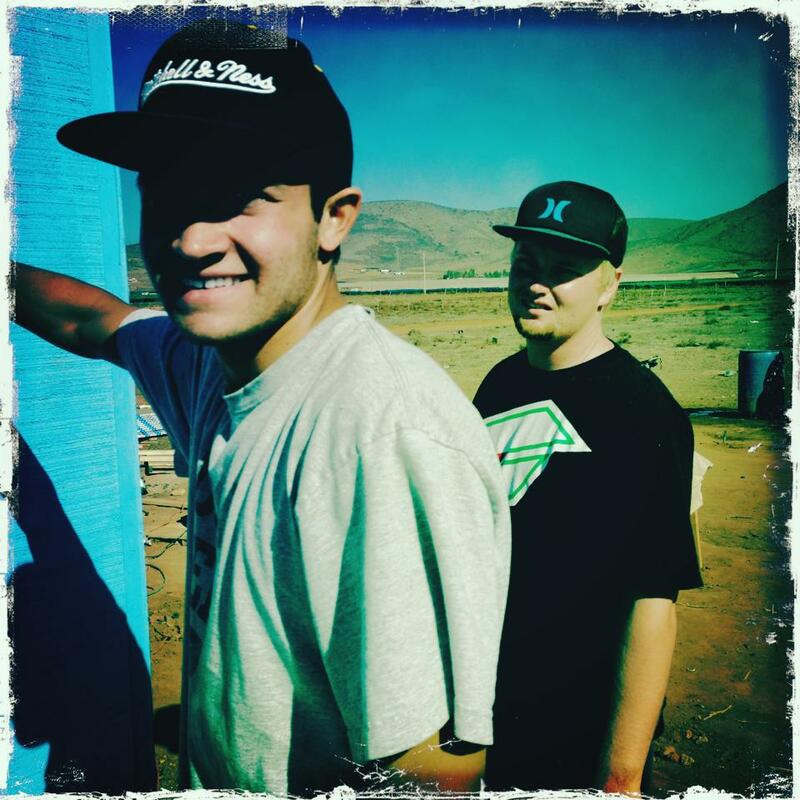 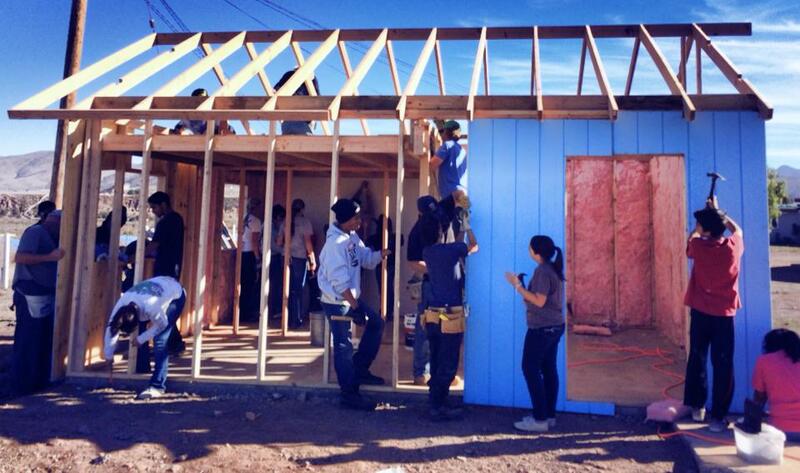 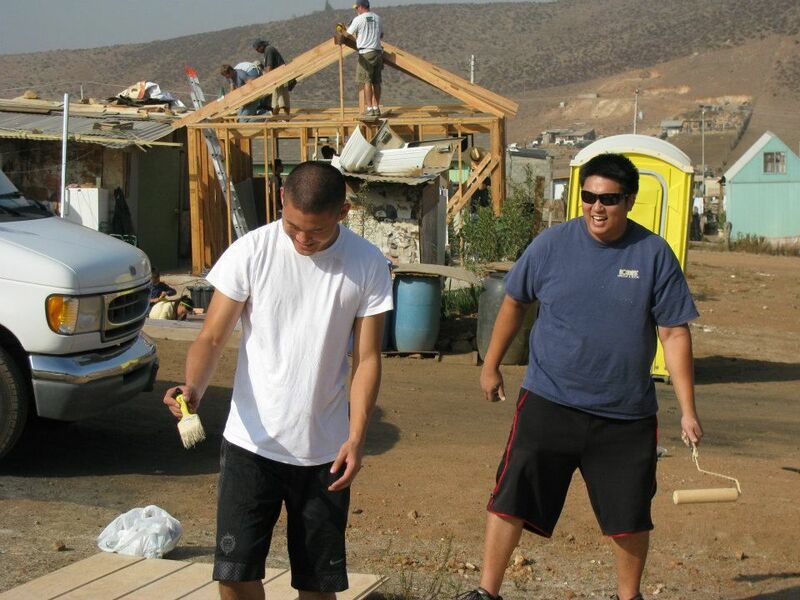 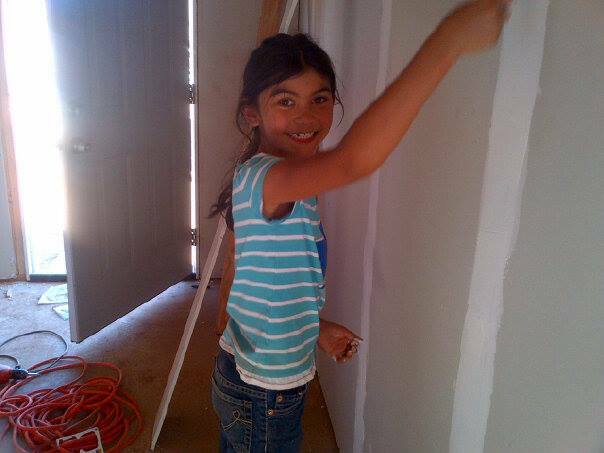 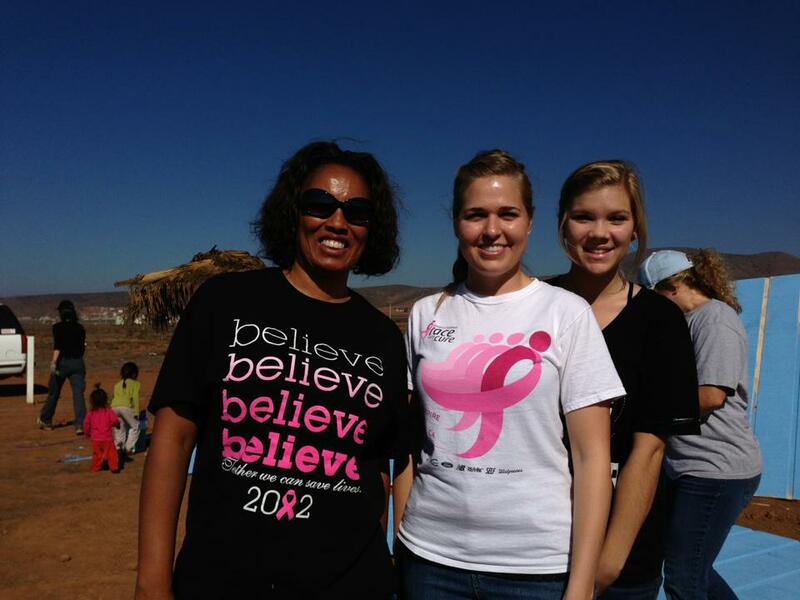 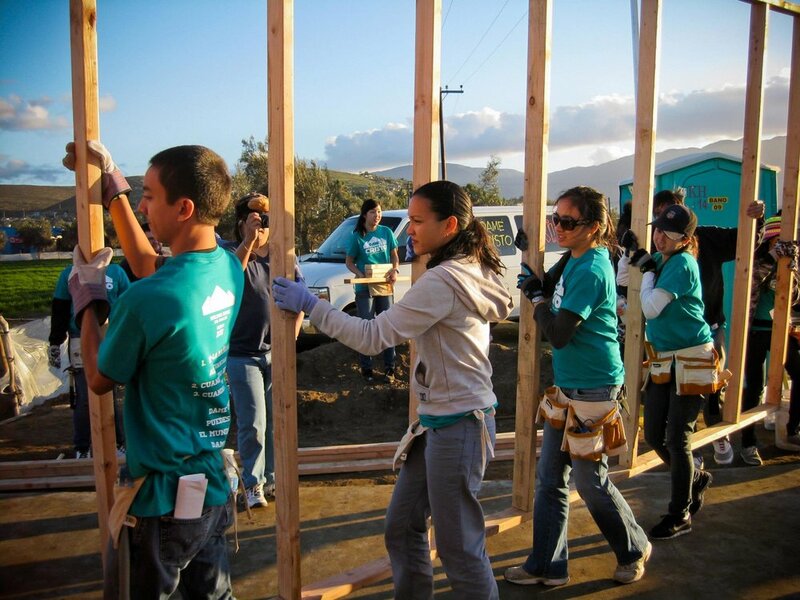 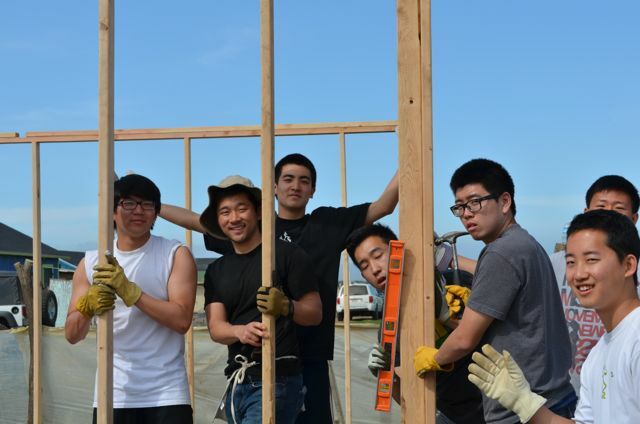 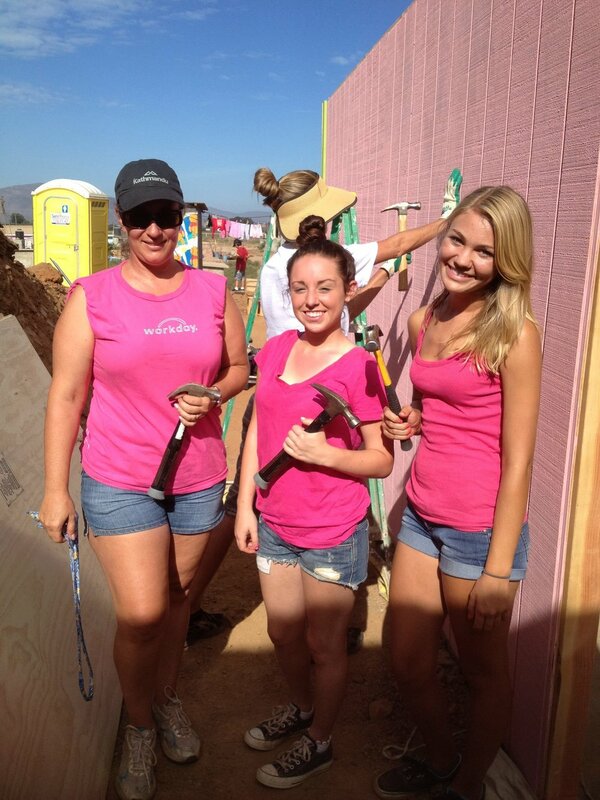 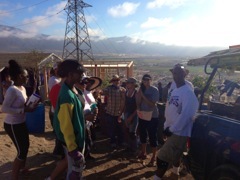 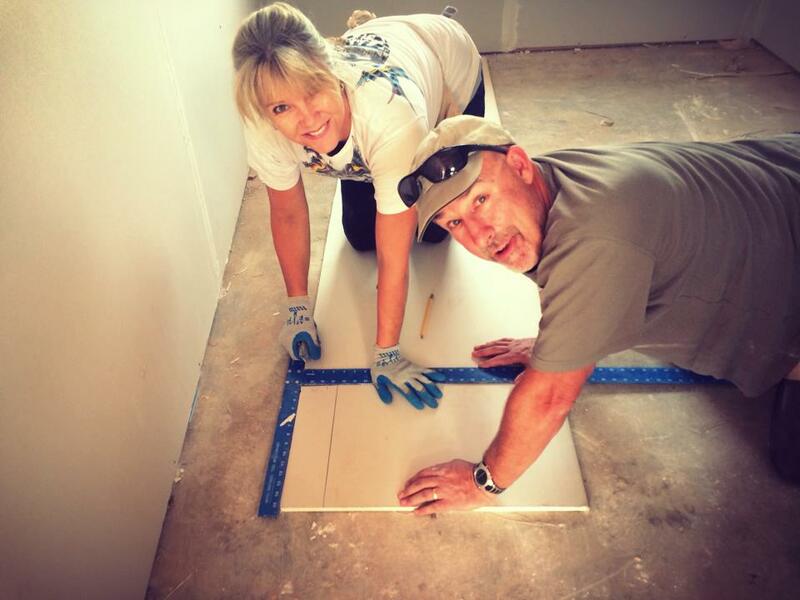 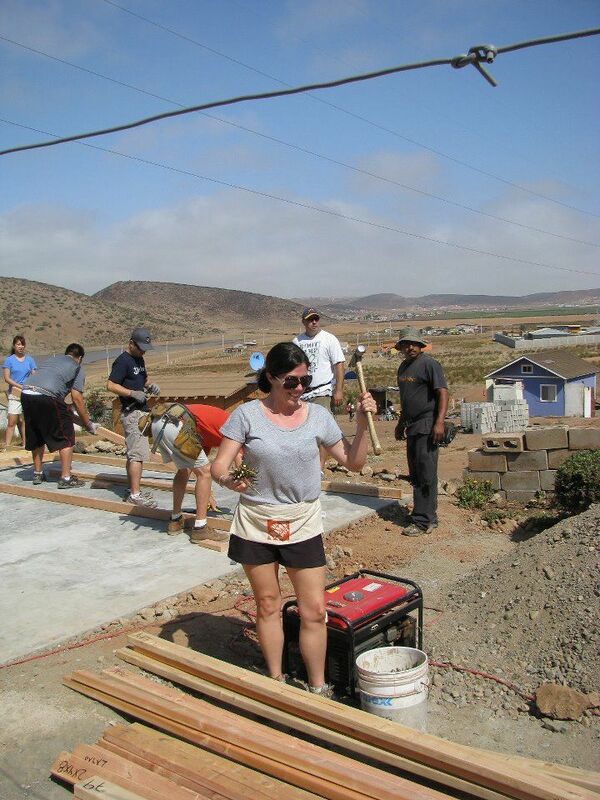 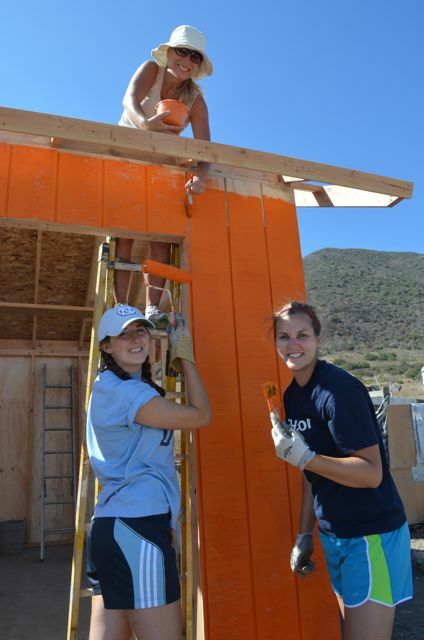 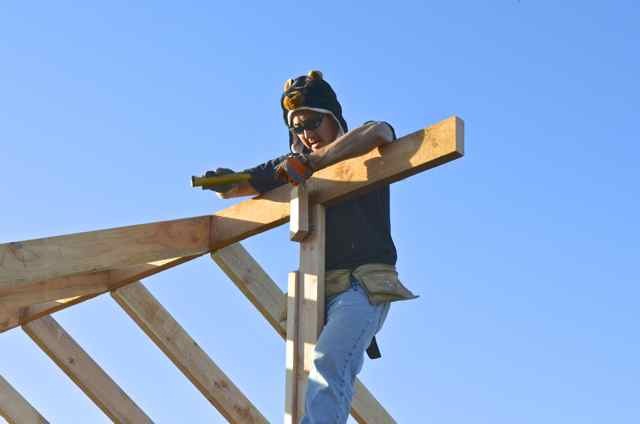 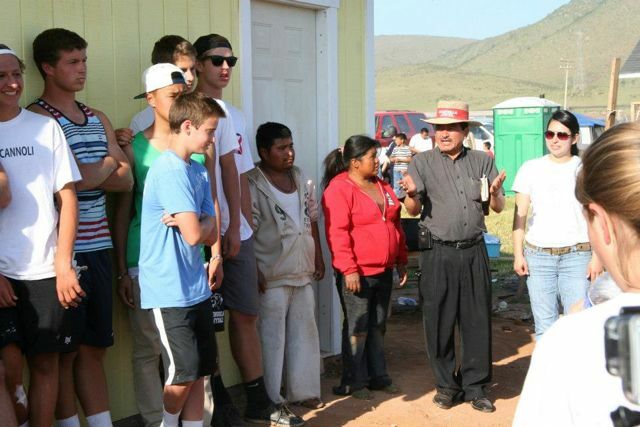 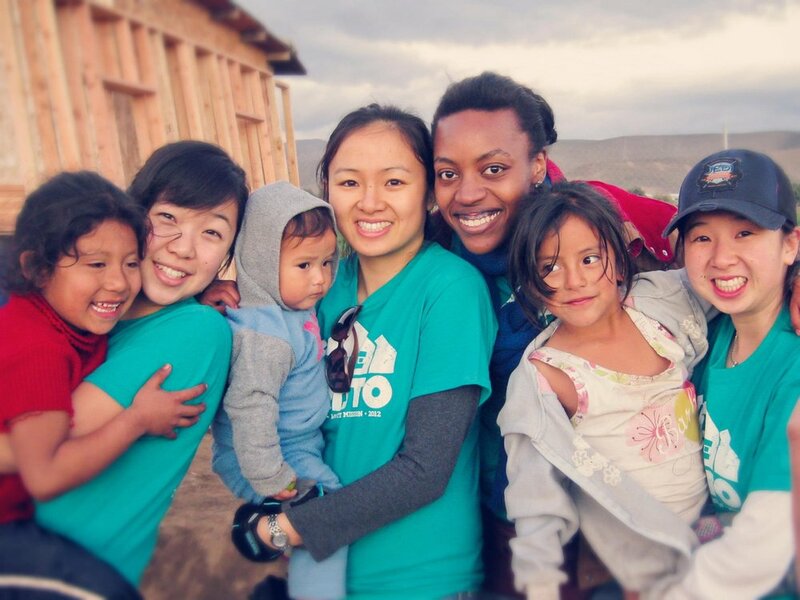 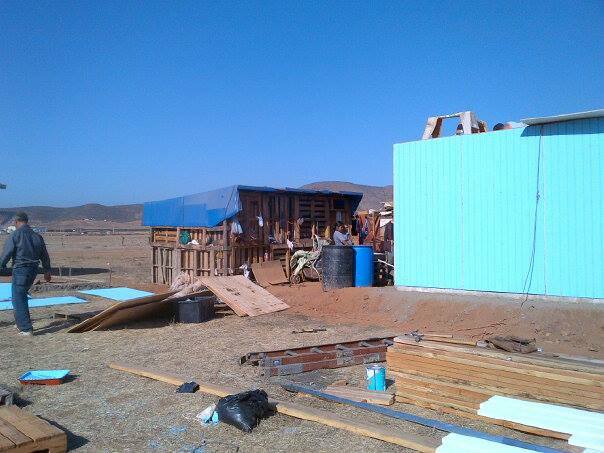 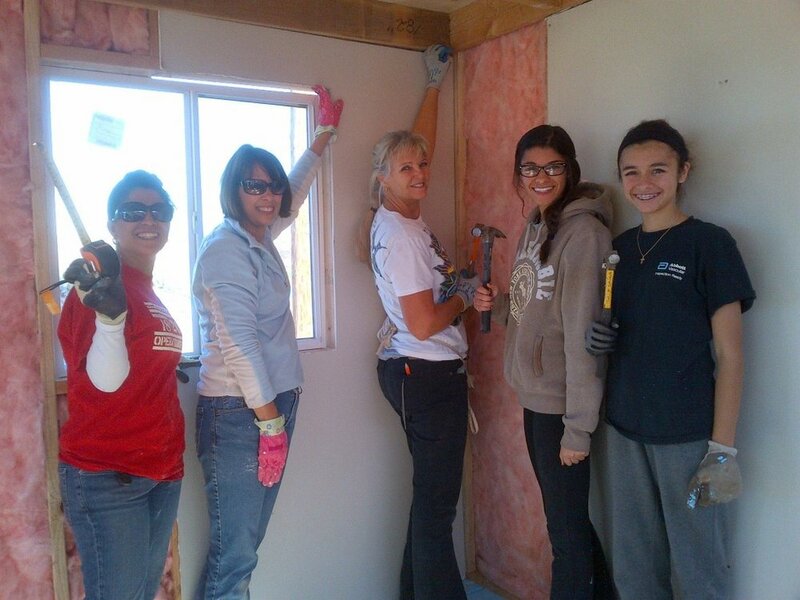 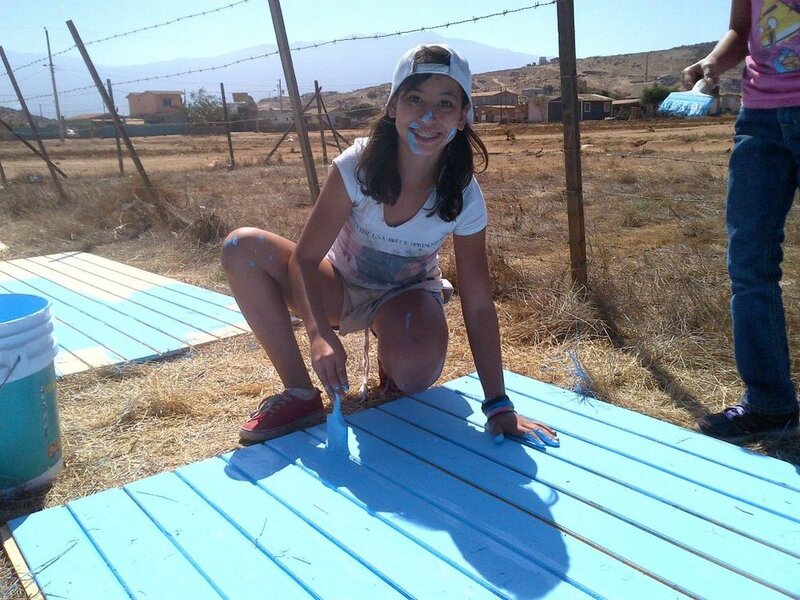 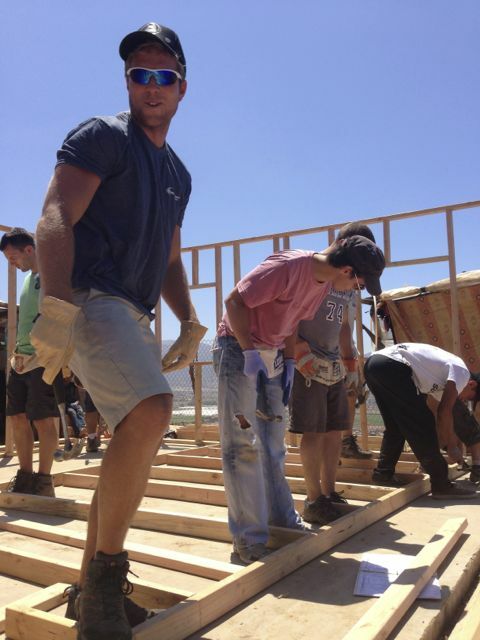 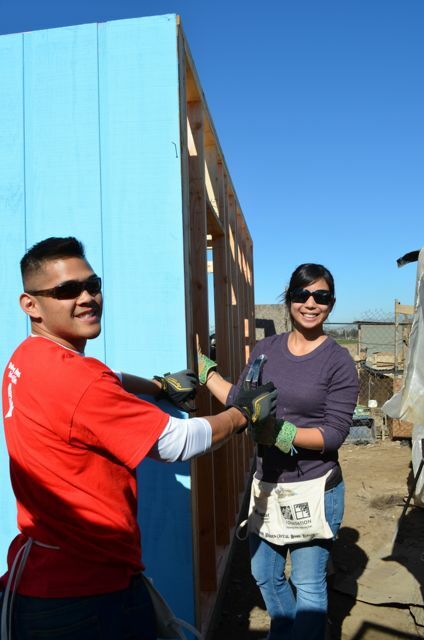 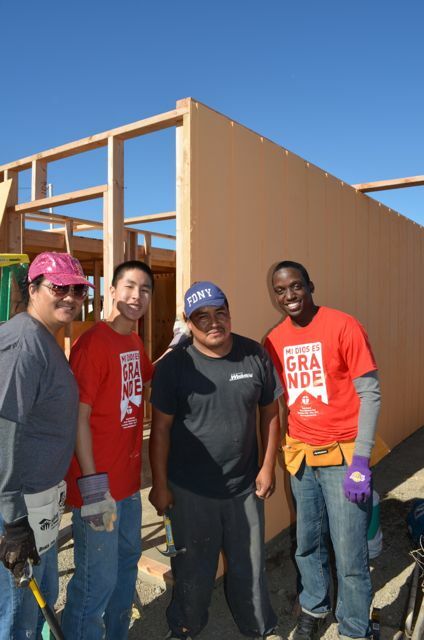 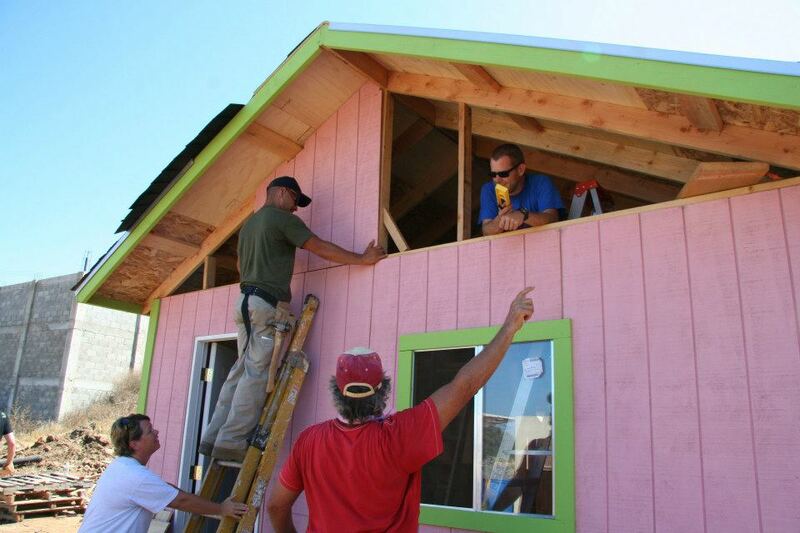 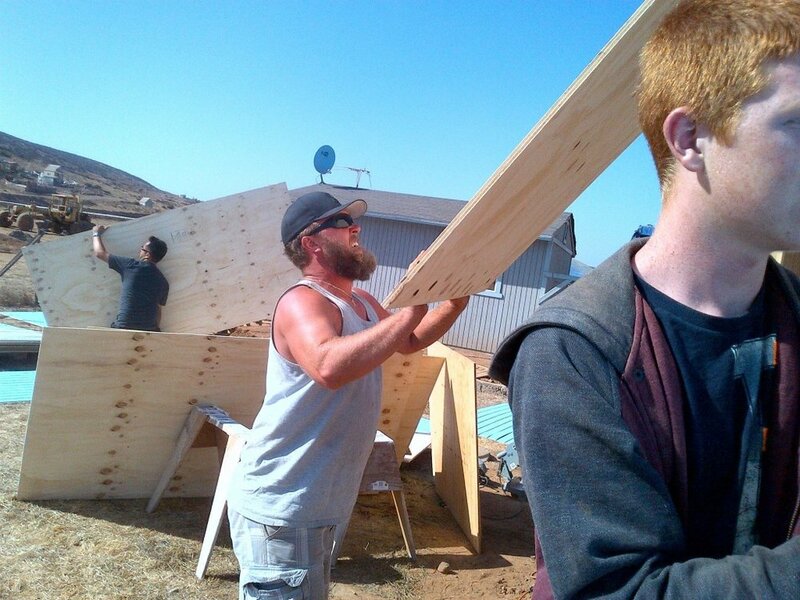 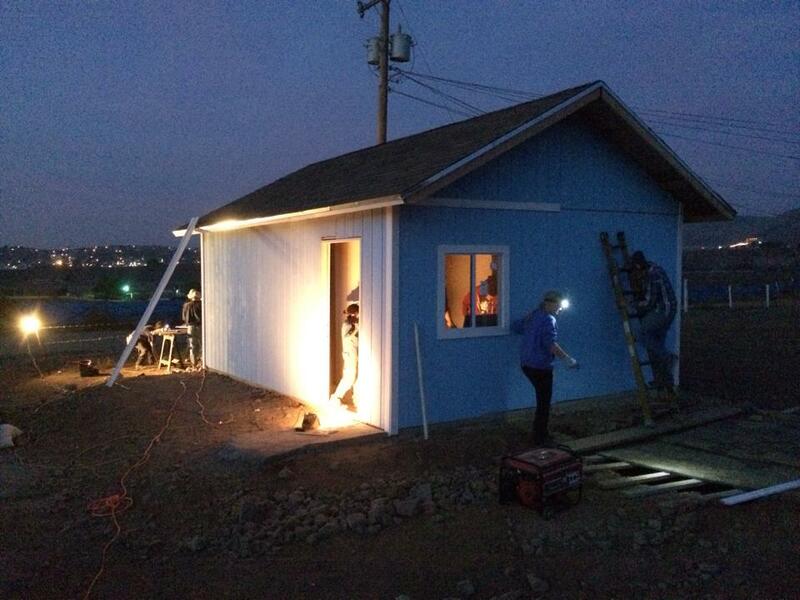 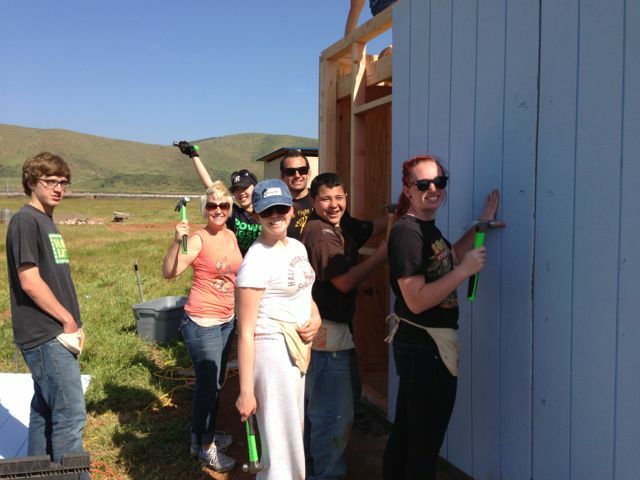 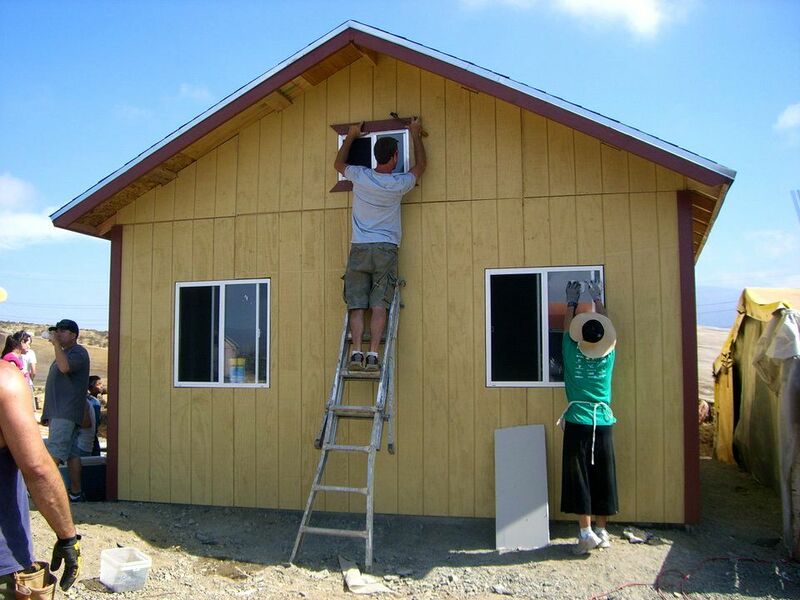 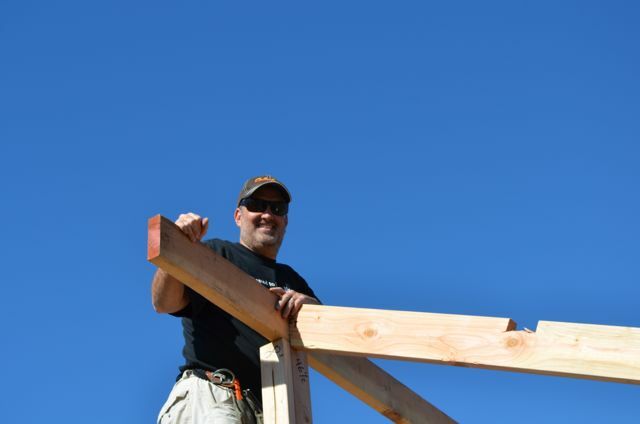 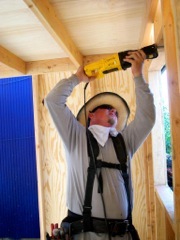 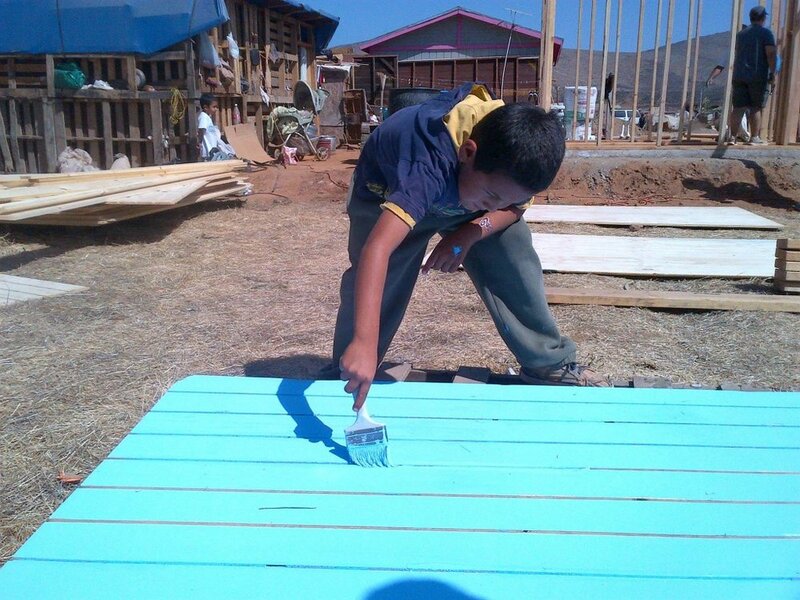 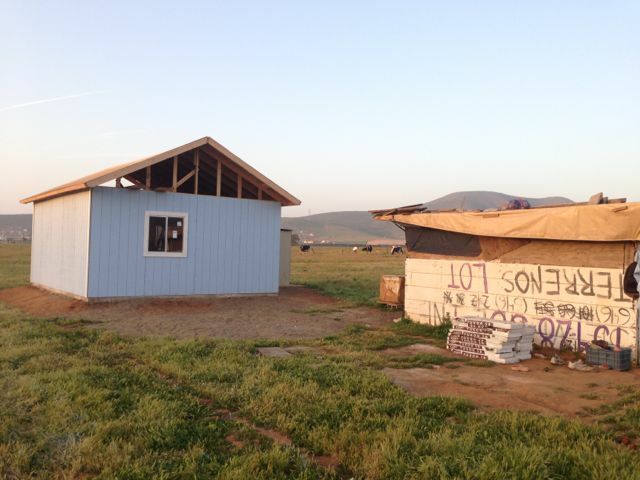 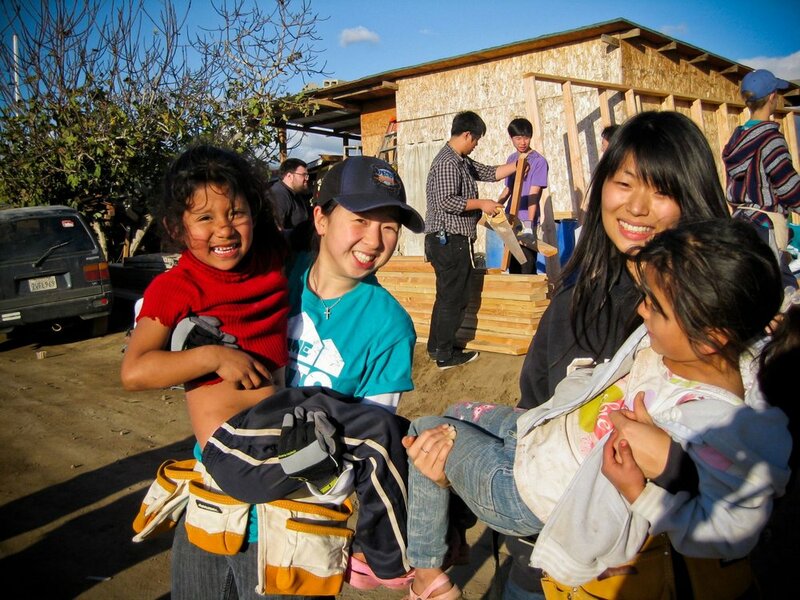 Rancho Vista returned in August for another house build project led by their fearless pastor, John Rose. 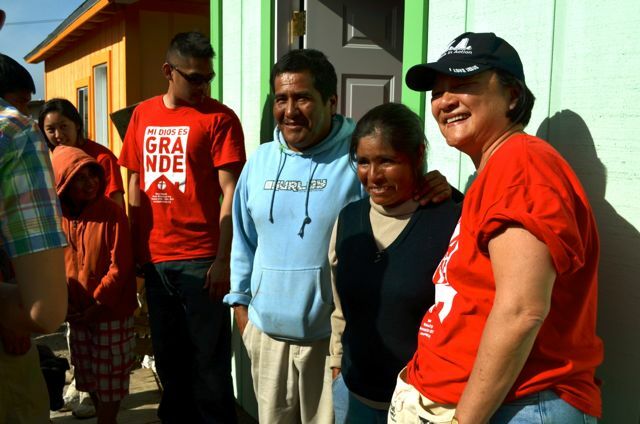 This seasoned team knocked out a home with great skill, served the local villages and visited the famous La Buffadora eateries. 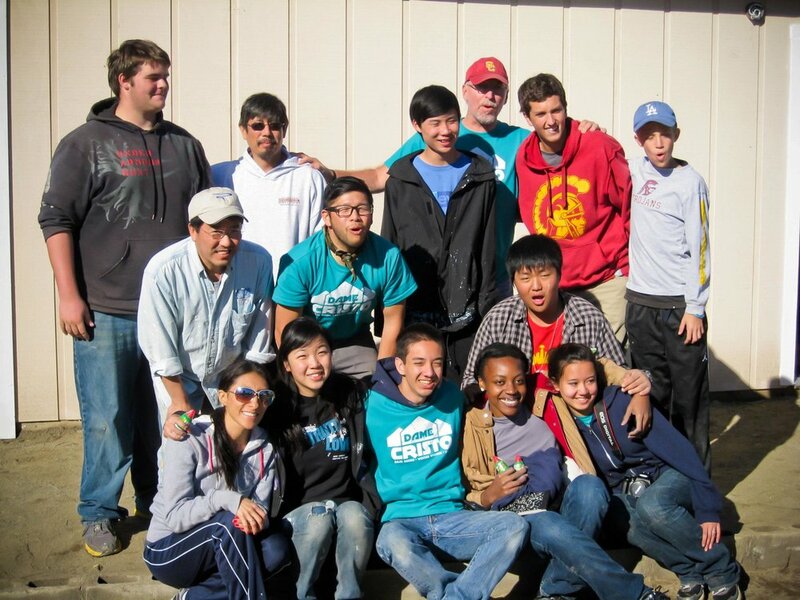 They spend an incredible weekend connecting, serving and sharing God's heart for mercy and justice. 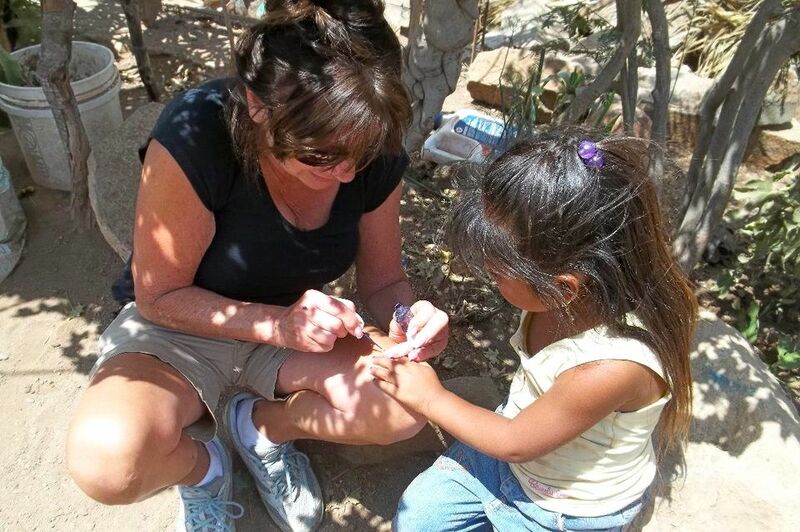 James 1:27 states, "Religion that is pure and undefiled before God, the Father, is this: to visit orphans and widows in their distress, and to keep oneself unstained from the world." 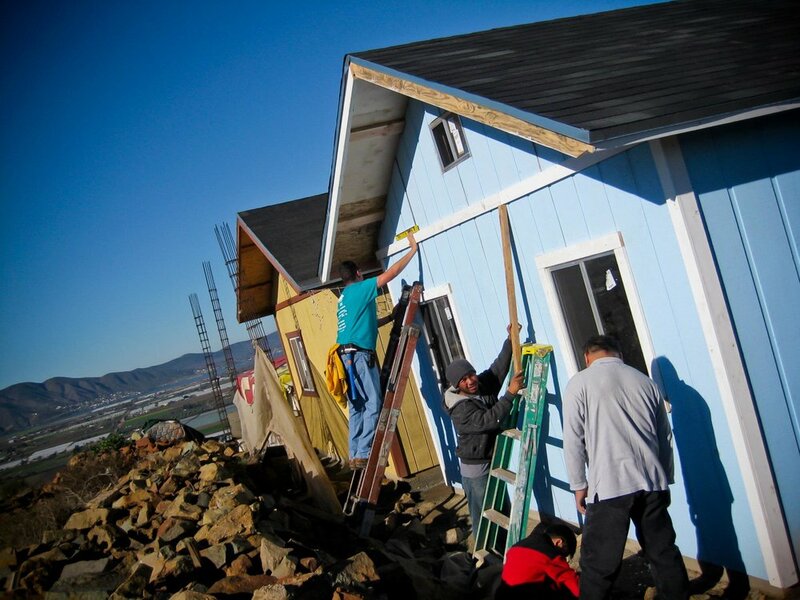 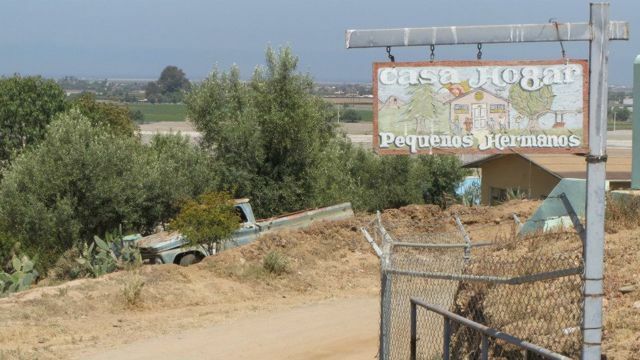 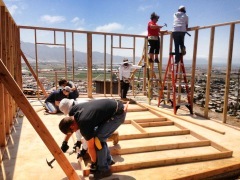 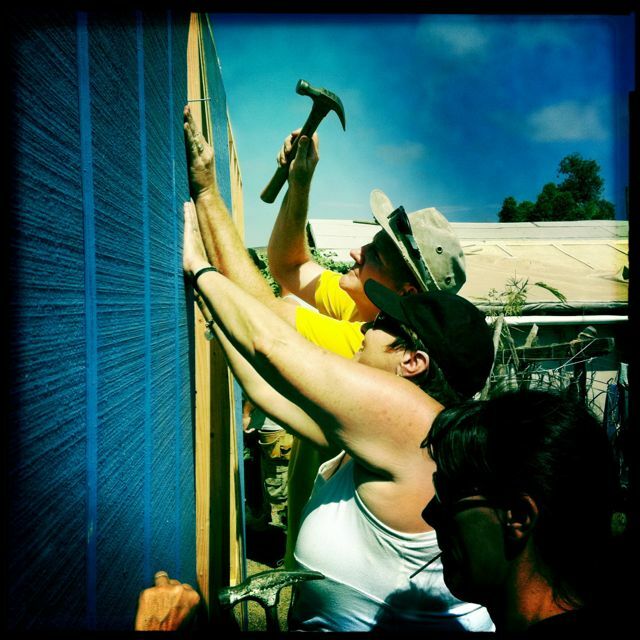 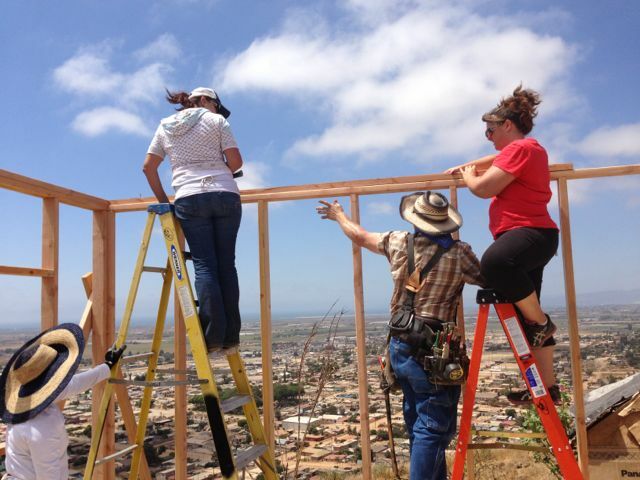 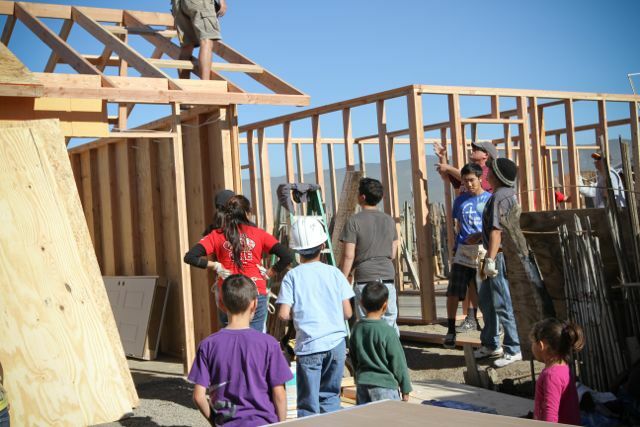 The Baja Bound staff wants to thank the congregation of Rancho Vista Church for their commitment to practice "True Religion" through their ongoing work of building homes among the poor in Ensenada. 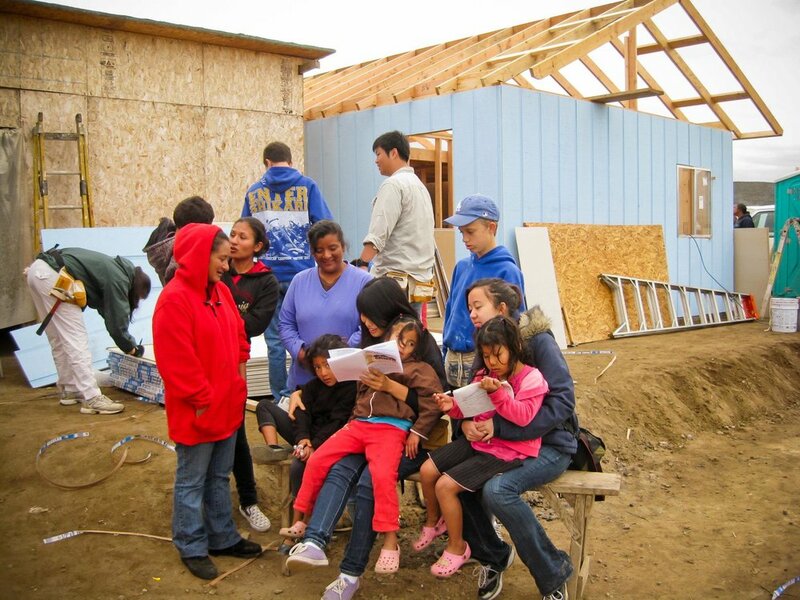 Harbor Church North County, Ocean Beach and UTC gathered a fantastic team to build a home for this precious family of five. 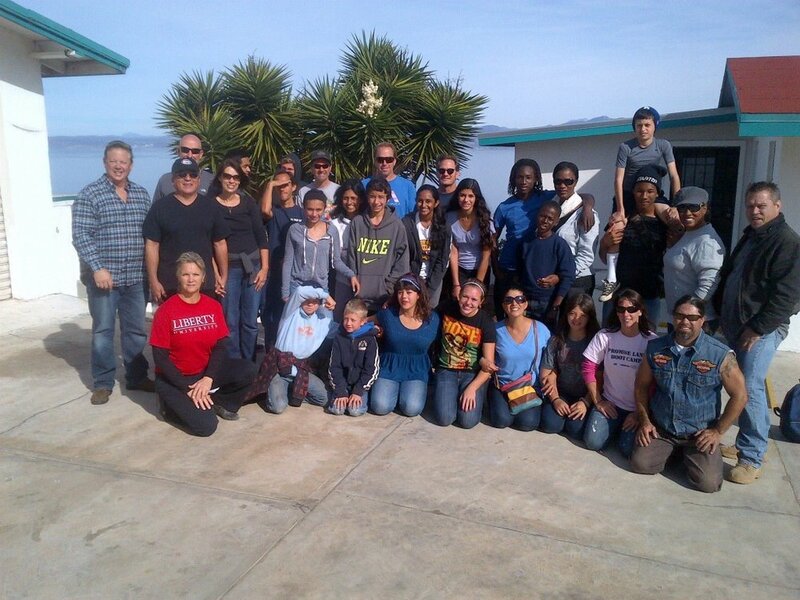 They spend two impactful weekends building, serving and proclaiming the good news of God's love in Christ. 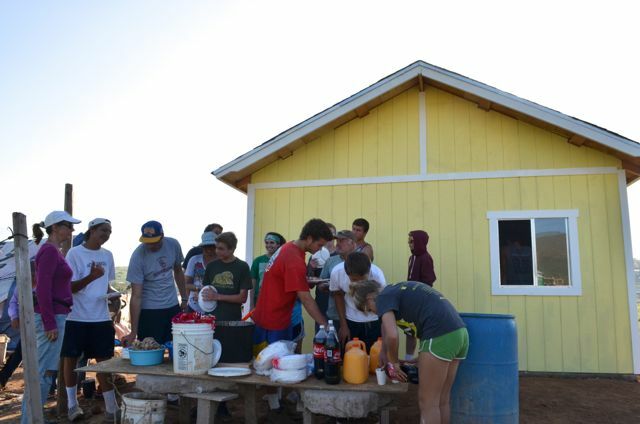 Harbor's team participated in the Agua Viva feeding program, cared for children at The Gabriel House Orphanage, and made deep connections with the family and their surrounding neighbors. 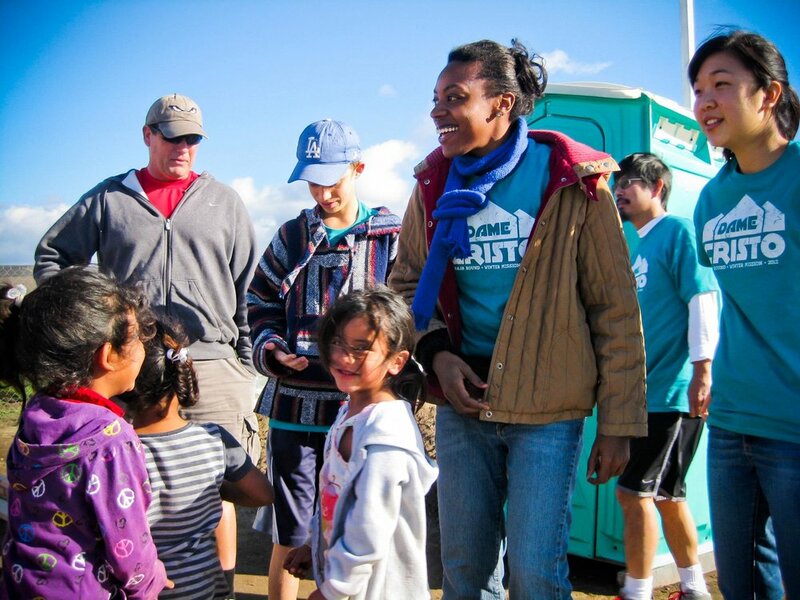 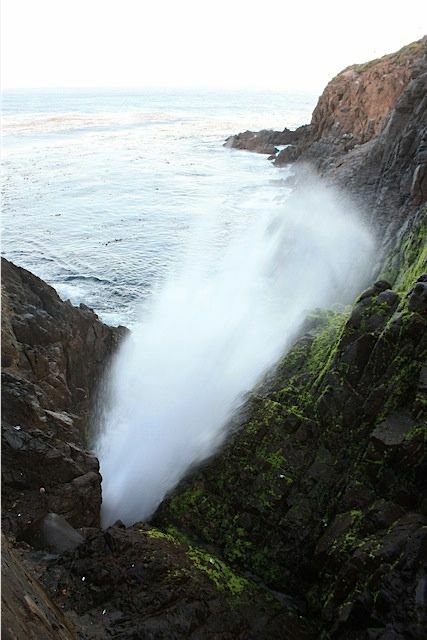 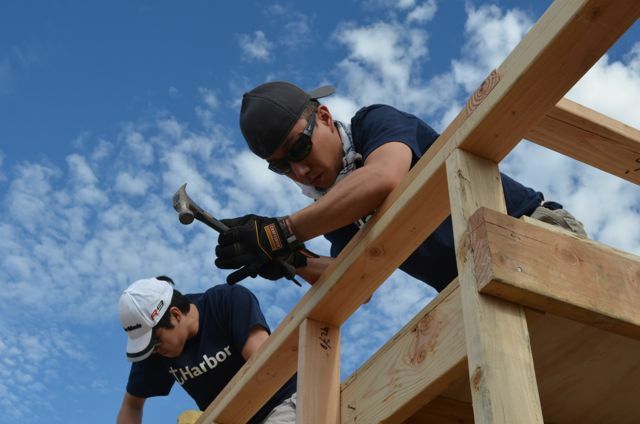 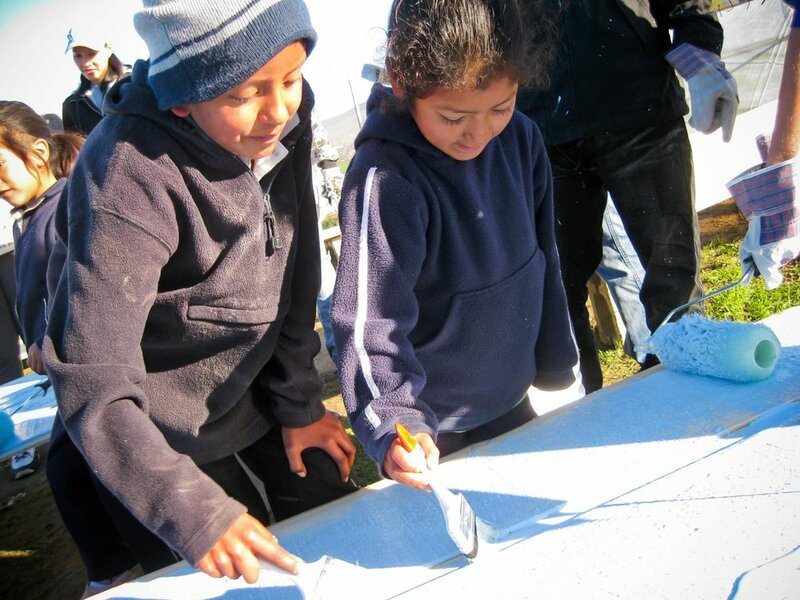 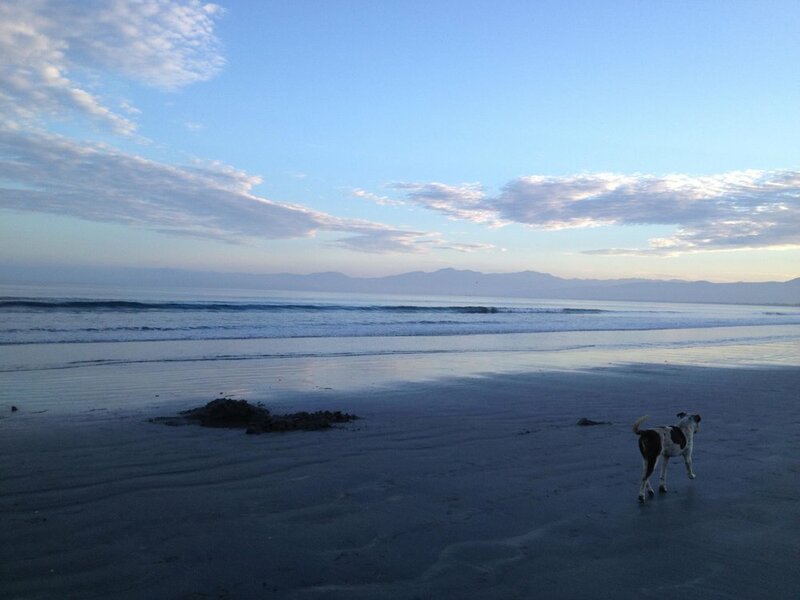 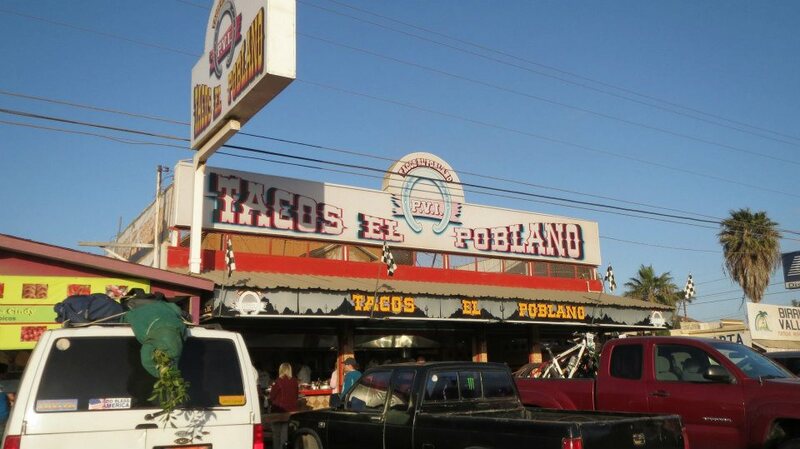 True to their mission, Harbor brought the message of hope and renewal to the people of Baja!